15th of November 2016. 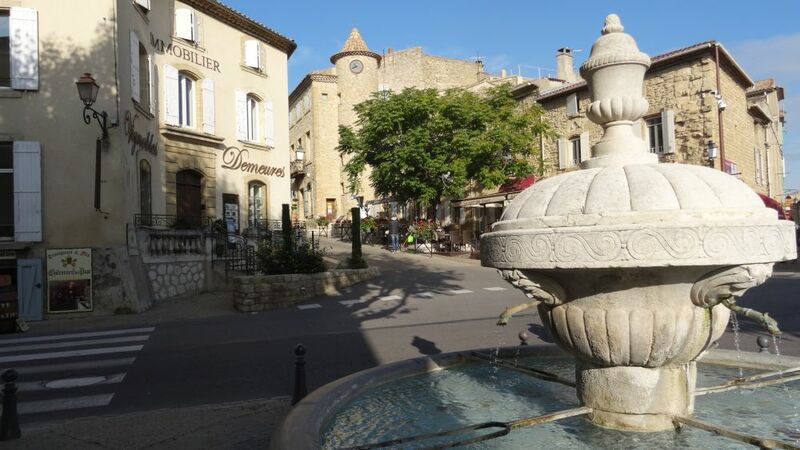 After a day in Avignon, we drive back to Switzerland with a detour to Châteauneuf du Pape which is just some 20 minutes away from Avignon. 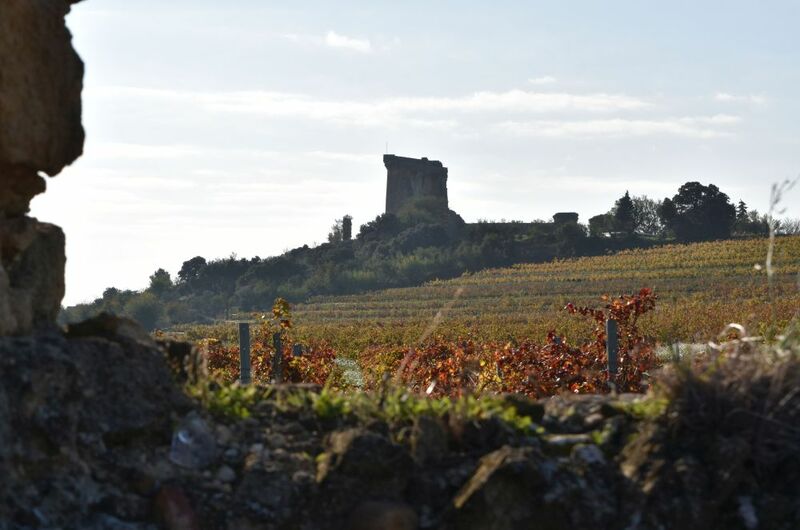 This is the château or castle of Châteauneuf du Pape. Hm, I am disappointed. For the excellent wine that is produced here, I had expected a majestic castle. And I find this small castle. The first consuls and treasurers of Châteauneuf du Pape from 1756-1790 indicate an old tradition. 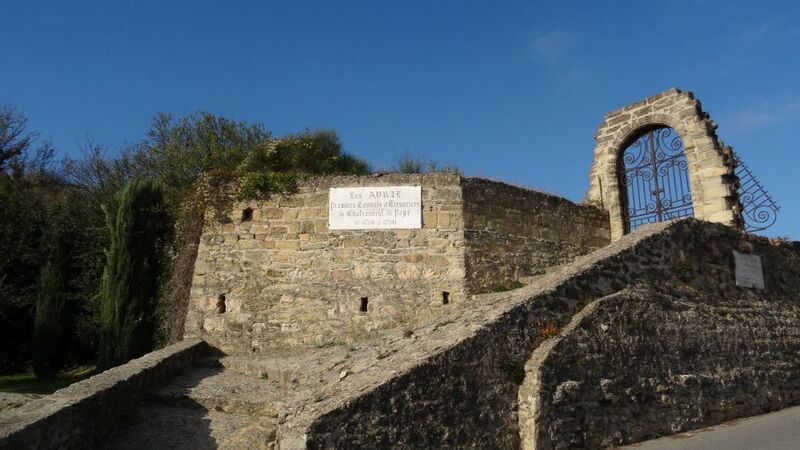 In the small village with the French charm, we buy a bottle of Châteauneuf du Pape: Le Vieux Donjon by Michel Lucien. We have two espressos in a restaurant that is closed – this is French charm. The lady owner tells us the route to explore more vineyards – and we follow her advice. 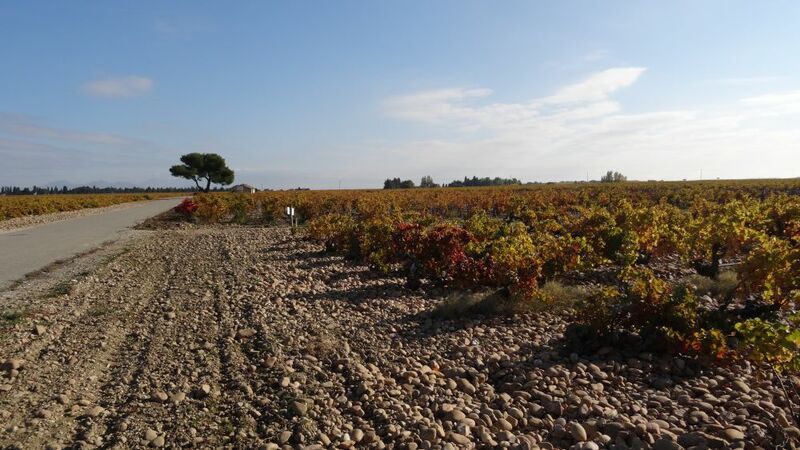 Here are some impressions from our explorations – vineyards in autumn colour. Then we leave the vineyards, continue our way to Orange, catch the motorway and drive directly to Monthey in Switzerland. We stop quickly in France to buy what we need to cook Spaghetti. We share the meal with our friends and have one of the bottles from Montsant. 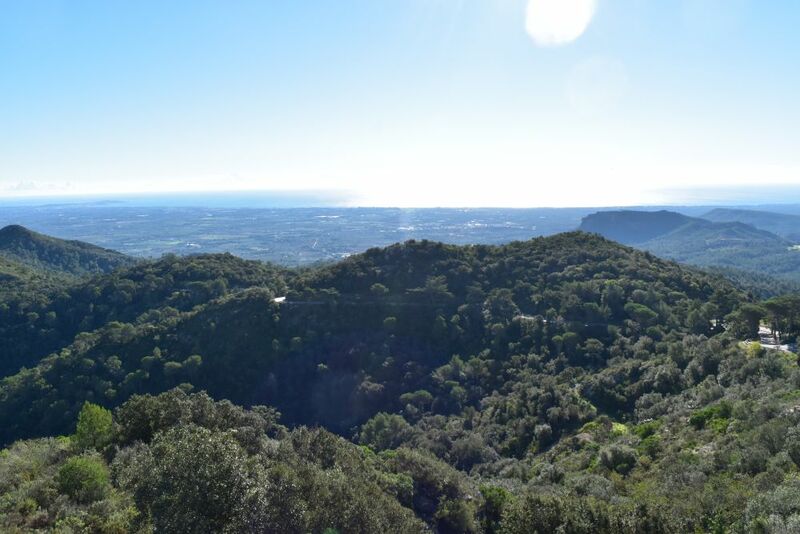 There is so much to tell – we had wonderful late autumn days in Catalonia and in France. 13th of November 2016. Our days in Hospitalet de l’Infant are over. We pack, throw our last postcards into the yellow mailbox and leave for France. Not without forgetting to switch off the water of our friends’ apartment – which means we have to return one more time to close the apartment properly. We have decided to travel through the Rhone valley, to stop two nights in Avignon and spend a day here. 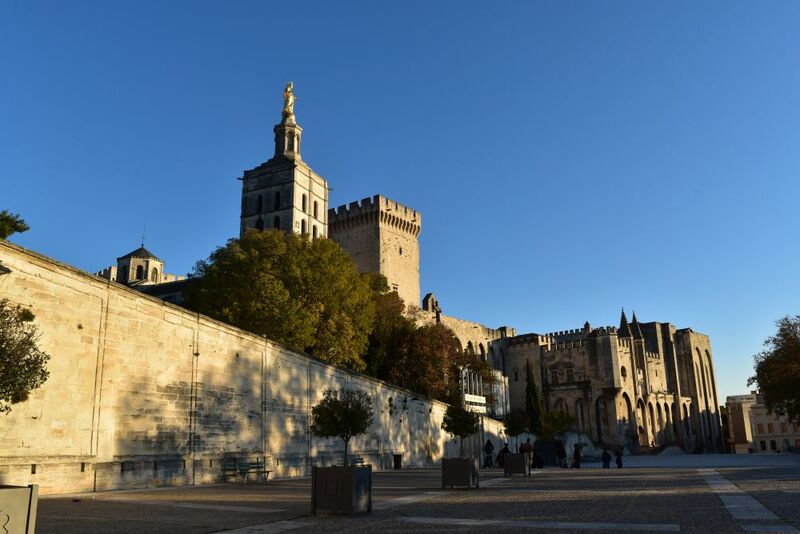 The famous bridge – le Pont d’Avignon – and the Pope Palace are worth a visit, and we look forward to strolling through the city inside the intact defensive town walls. 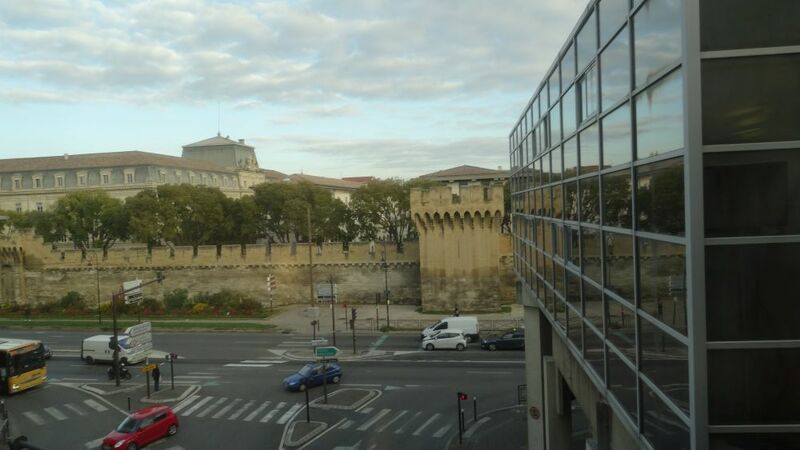 We decide to make it easy for us and book a room in the IBIS hotel right in front of the city wall. Here we can also park our car. 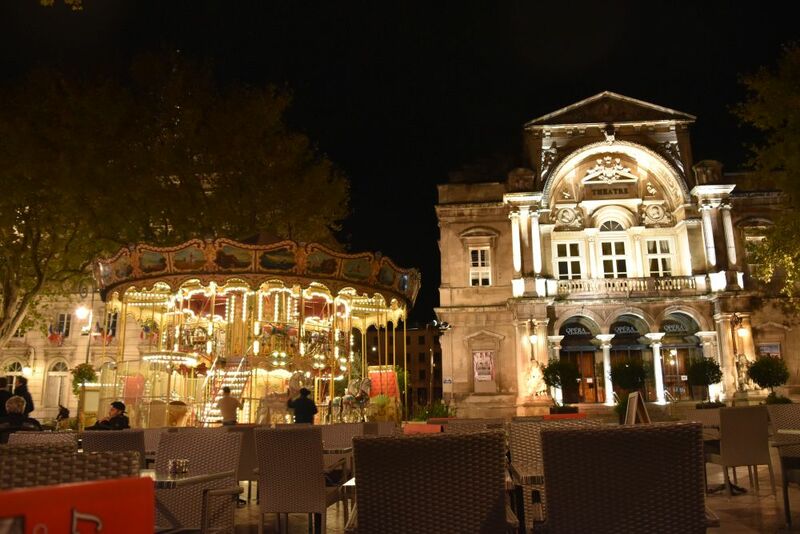 At the Place de l’Horloge we have dinner in a small restaurant across the Theatre and the Townhall. 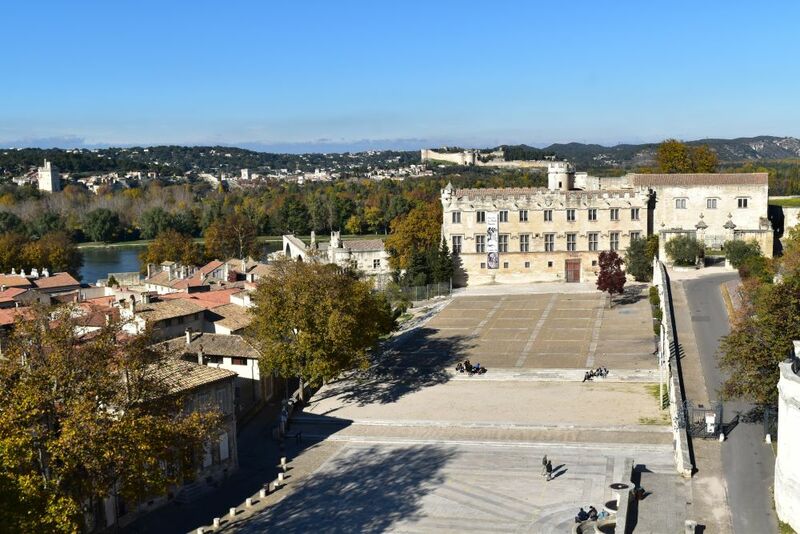 It is clear and cold in Avignon – the mistral wind is blowing down from the mountains. 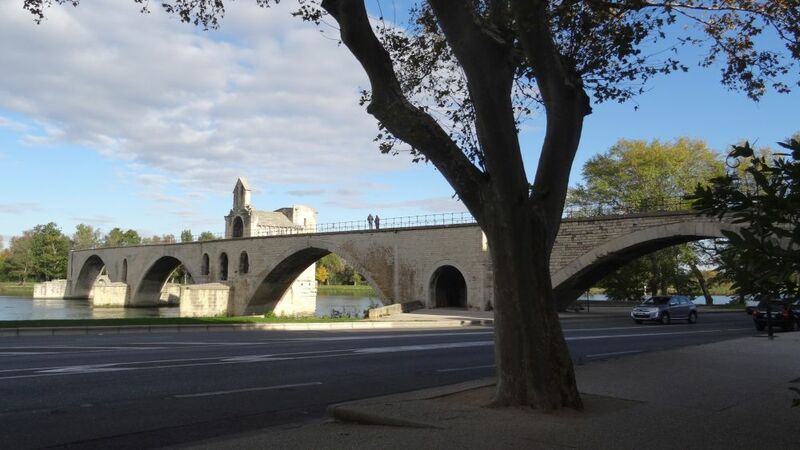 The next morning we start our visit with THE bridge, le Pont d’Avignon. I am utterly disappointed: The bridge is not finished, it ends in the middle of the Rhone river! 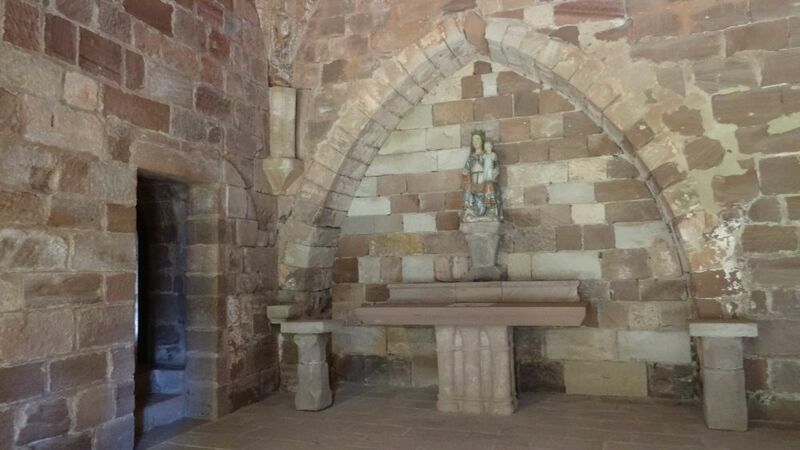 Well, in the museum I learn that this was not really a bridge, but a toll station built in the 12th century to tax salt and agricultural products traveling by boat. This is the legend: A shepherd had a vision that told him to build this bridge. The people of Avignon laughed at him and asked him to throw a piece of rock into the water. He did so. This was a miracle that convinced the people to build the bridge. At that time, there were large sandbanks. They disappeared in the 15th century, as the water level rose, resulting in the bridge to end in the middle of the river. All this is well explained in the museum attached to the bridge. This is another view of the bridge with the chapel St. Nikolas. 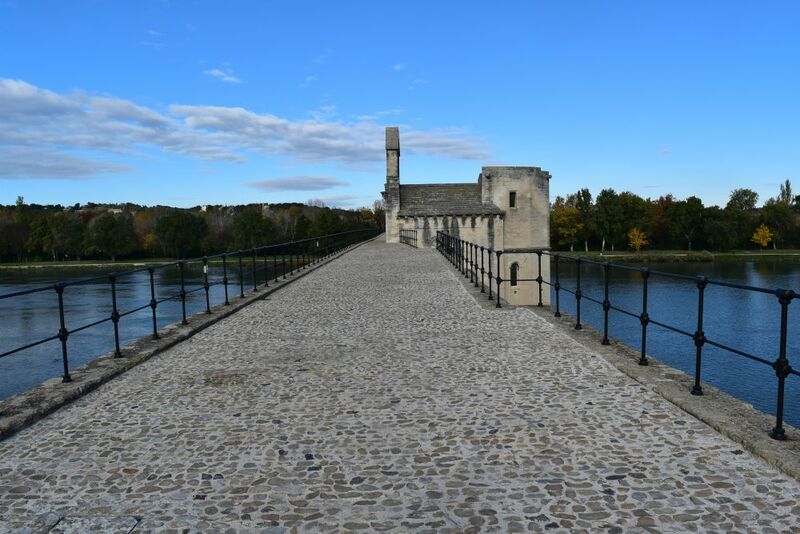 We all know the song related with the bridge: “Sur le pont d’Avignon, l’on y danse, l’on y danse, sur le pont d’Avignon, l’on y danse tout au rond.” We learnt this song in kindergarden, long before we knew French. 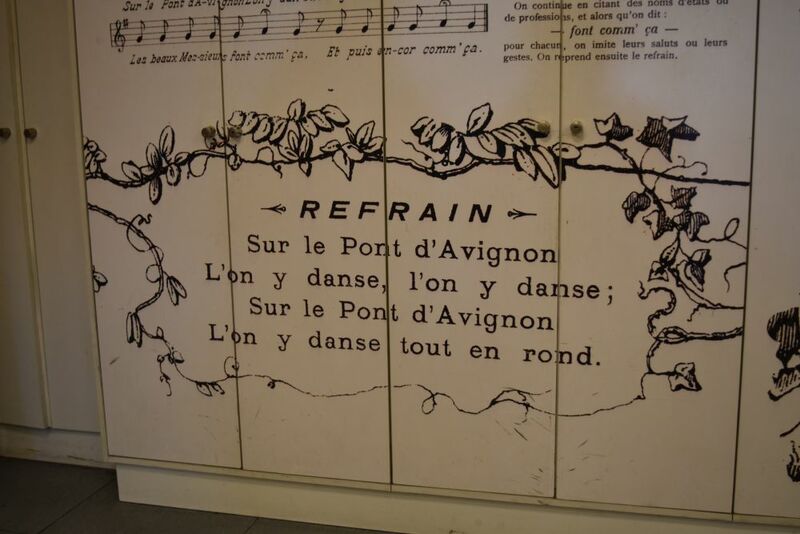 Not understanding the words, we created Swiss German versions – the one of Ursula’s sister went: “Sur le pont d’Avignon, oni Dasse, oni Dasse…” (with “oni Dasse” she took a phonetic representation for “on y danse”. It means “without cups” in Swiss German…). On the rock above the Rhone river, the Pope Palace was built in the 14th century. 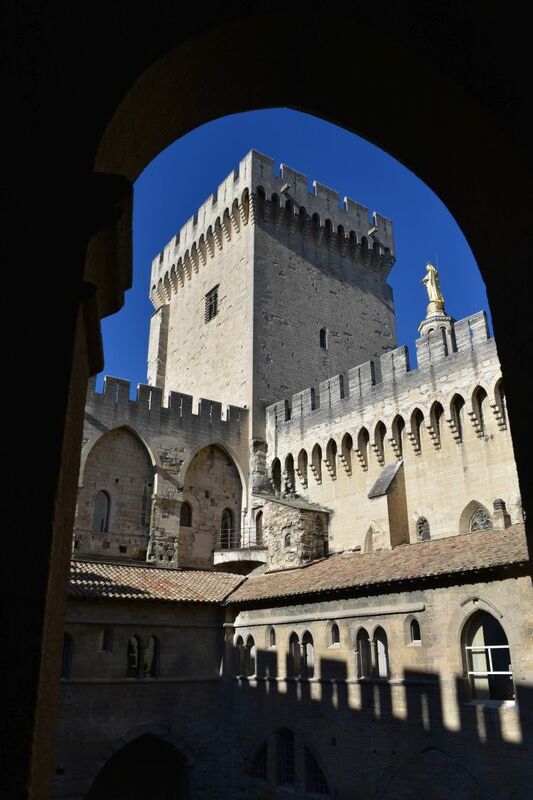 Yes, a palace for the Pope, not in Rome, but in Avignon. Six popes resided here from 1309 to 1377. The first pope was Clément the V. In all seven popes resided in Avignon until 1377. They were the “real” popes, as there was no other pope in Rome. In 1378 the catholic church was divided (schisma of the Occident). One pope resided in Rome and a second pope in Avignon. 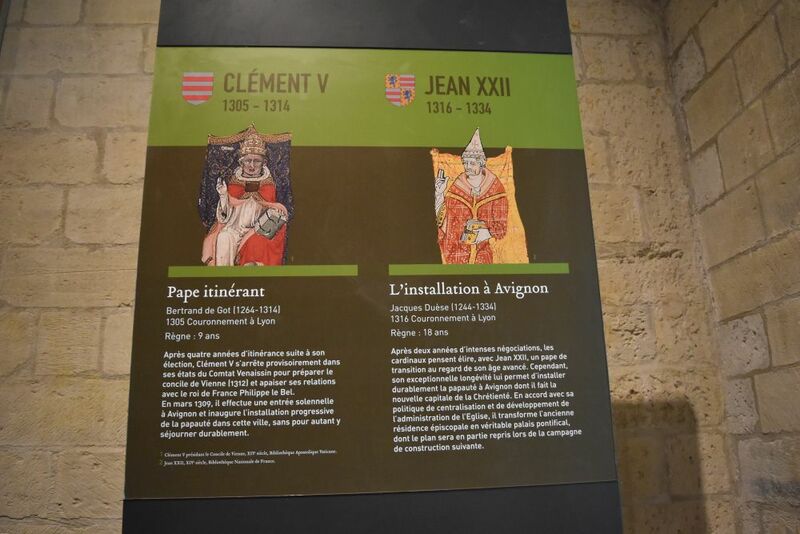 Two such alternative popes reigned in Avignon. Then matters were settled at the council of Constance in 1417. From now there was just one pope governing the reunified occidental catholic church, and this one pope was in Rome. The former Pope Palace was used by high officials of the church. In the days of Napoleon, the palace became a military casern. 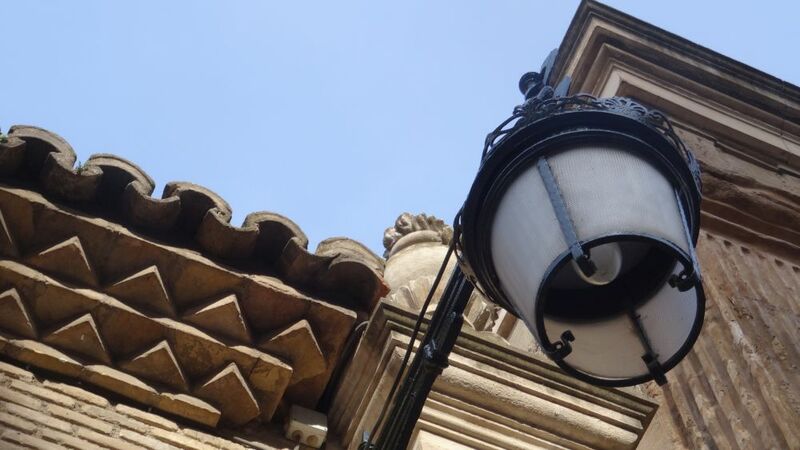 In the 20th century it was renovated and is now a UNESCO world heritage. This is all explained in the museum of the Pope Palace. 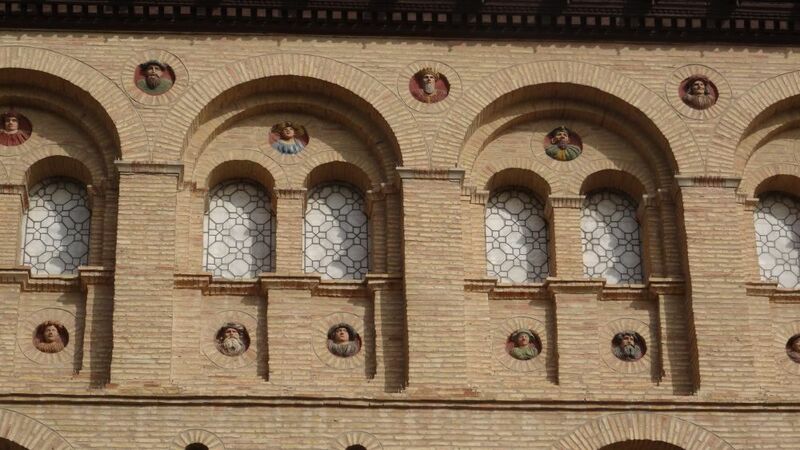 All the popes of Avignon embellished their palace. This is the view of the second courtyard. There was a safe built into the ground of one of the back offices – the tiles looked like the other tiles on the ground. Nevertheless the safe was robbed twice. I would have thought that this safe is safe, but presumably someone betrayed the secret. The main church is now a museum. 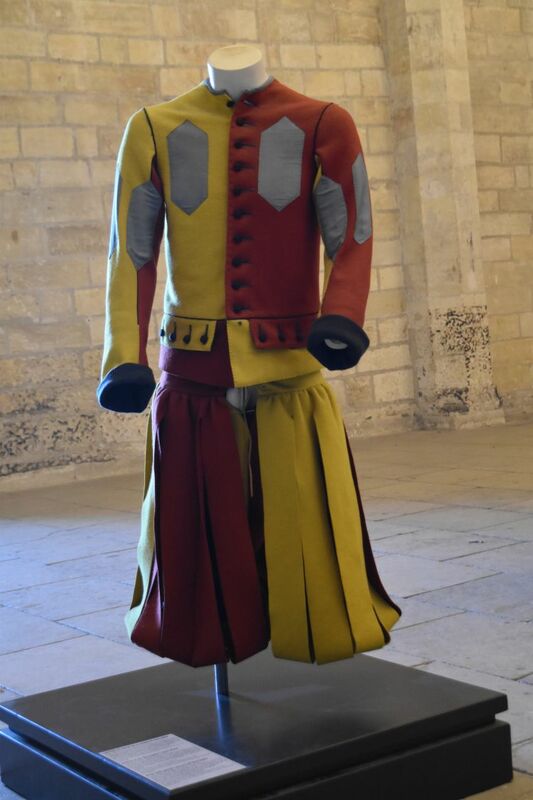 The Swiss Guard seems to have protected the pope already in the 14th century. From the Pope Palace, we can see the Musée du Petit Palais which is our next destination. 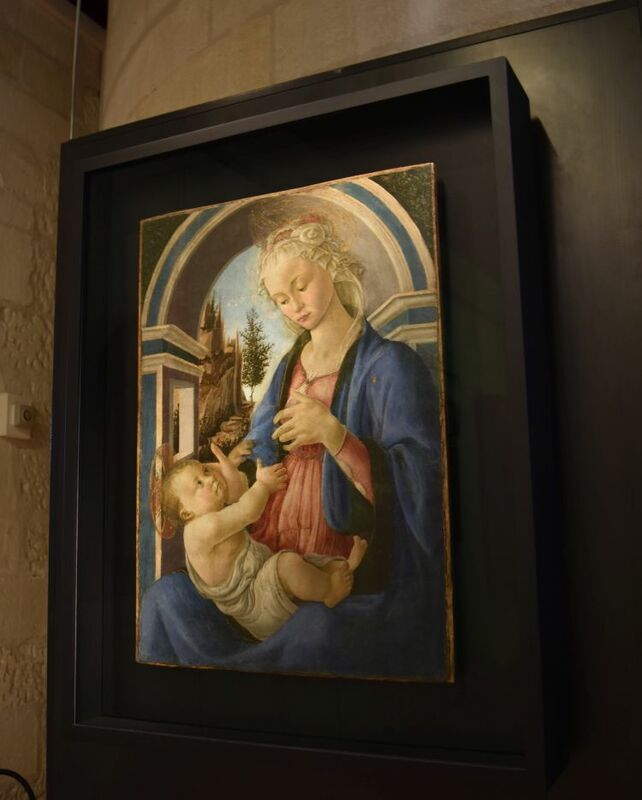 The Musée du Petit Palais hosts an exhibition about the evolution of sacral painting in Northern Italy from around 1300 to 1500. 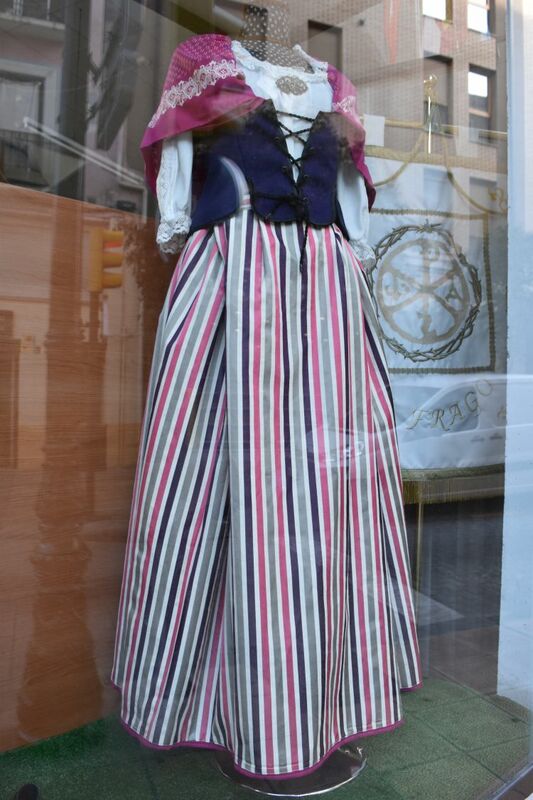 It is based on the collection of Marquis Campana (1808-1880). This is a fragment of a Crucifix painted by the School of Berlingheri in the middle of the 13th century. Christ seems to be far away and solemn. A long series of paintings culminates with “Maria and the Child” by Sandro Botticelli from around 1500. Life and love is in the face of Maria. This is Renaissance. 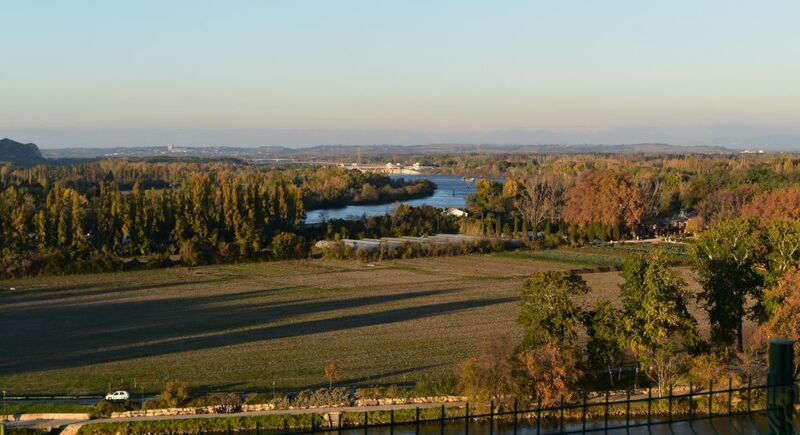 To round off the day, we visit the park “Rocher des Doms” behind the Pope Palace enjoying the view of the Rhone river and the fields. 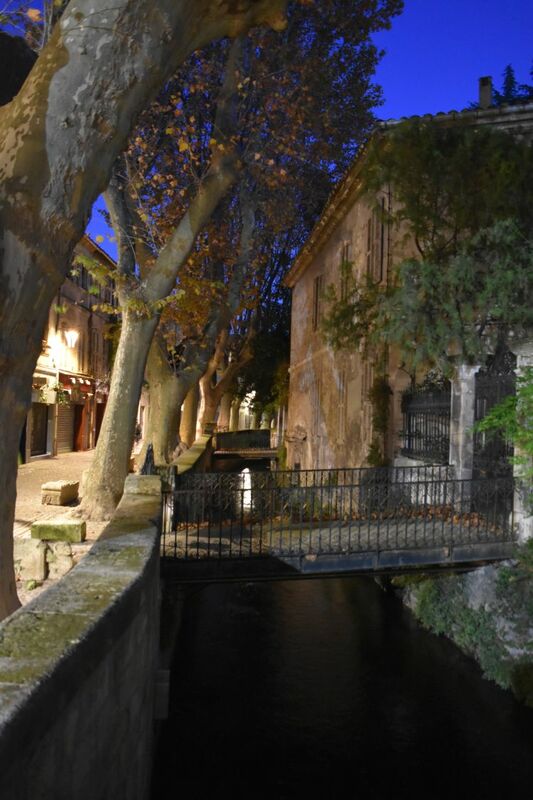 After an apéro in the Café d’Opéra, we stroll through the small streets of Avignon and visit the dyers’ street lined up along the creek (teinturiers). In November, it is already night around six pm. We have dinner in the friendly restaurant La Fontaine. 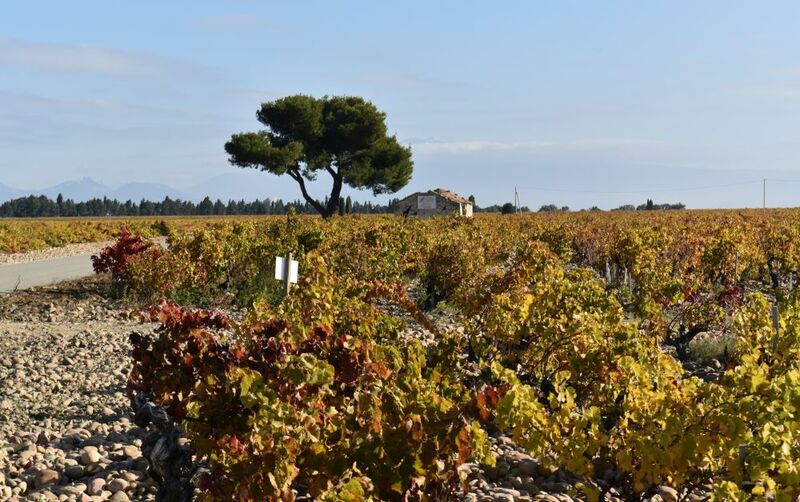 We get ready to travel back to Switzerland with a small detour to the vineyards of Southern Côte du Rhone, just north of Avignon. 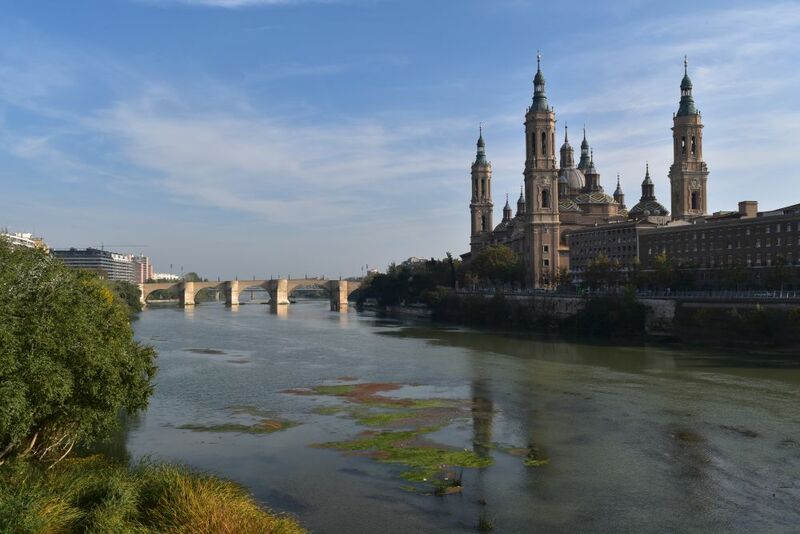 Zaragoza, the capital of Aragón is our longest excursion. 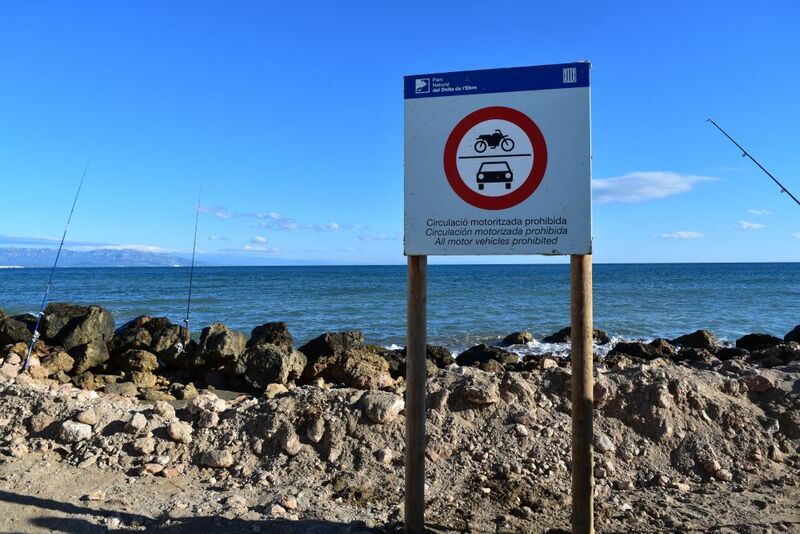 It is a three hours’ drive from Hospitalet de l’Infant. In Hospitalet we spend a few days in the apartment of our friends end October until mid November 2016. We start in sunny Hospitalet crossing the hills to reach the Ebro valley where the scenery is hidden in grey fog. After three hours, we park our car right in the center under the Plaza del Pilar. With Ursula we always first enter the Tourist Office to get some maps and advice about what to see. We are told that the old Islamic Palace and Parliament Seat (Aljaferia) is closed for renovation. That means our sightseeing will be restricted to the very city center. We feel like hot chocolate in the famous Gran Café. What a disappointment! 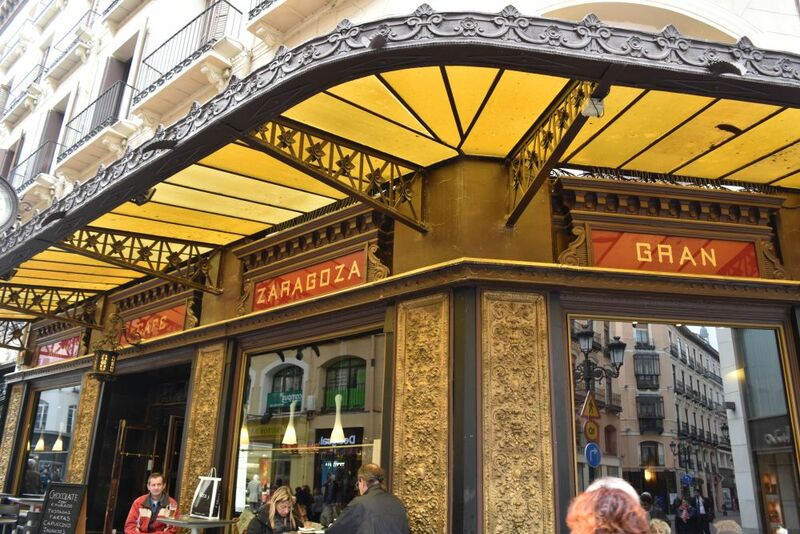 We are served churros that are not fresh and melted chocolate that is dense and tepid. Well, it seems that this is how chocolate is made in Spain, but I do not think that “old” churros are a particular Spanish specialty. As for the chocolate drink it is a pity that Spain seems not to have adopted the Mexican way of preparing it – the Mexicans prepare much lighter chocolate using hot water. In front of the Catedral-Basilica de Nuestra Señora de Pilar four pilgrims are absorbed by their prayings. This cathedral is important on the Way of St. James. Right here, it is said, the Virgin Maria appeared to St. James (Jakob) on a pillar (in Spanish “pilar”) in 40 AD. In the hazy background the Cathedral of Seo can be seen. 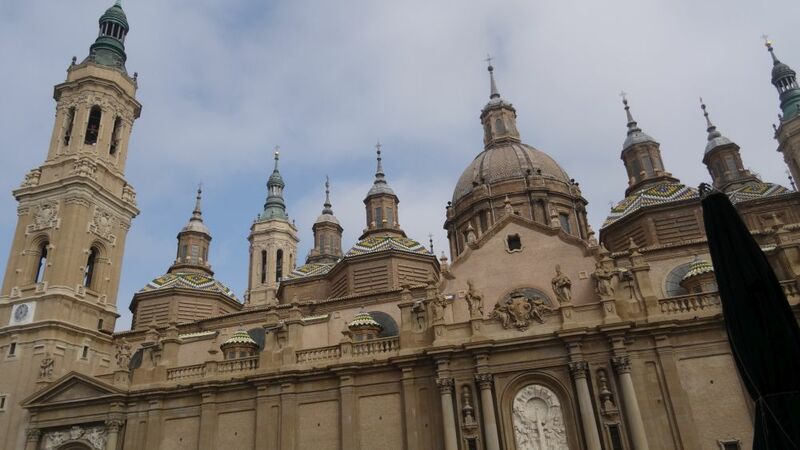 The Catedral-Basilica de Nuestra Señora de Pilar has been built in Baroque style in the late 17th century. Inside it is richly decorated. Some vaults (or domes) are painted with frescos by Francisco Goya. 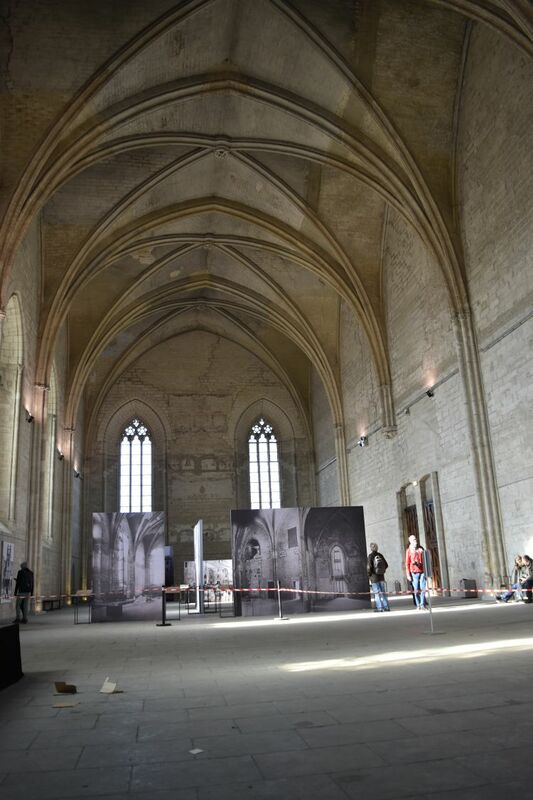 It is not allowed to take photos inside the cathedral. 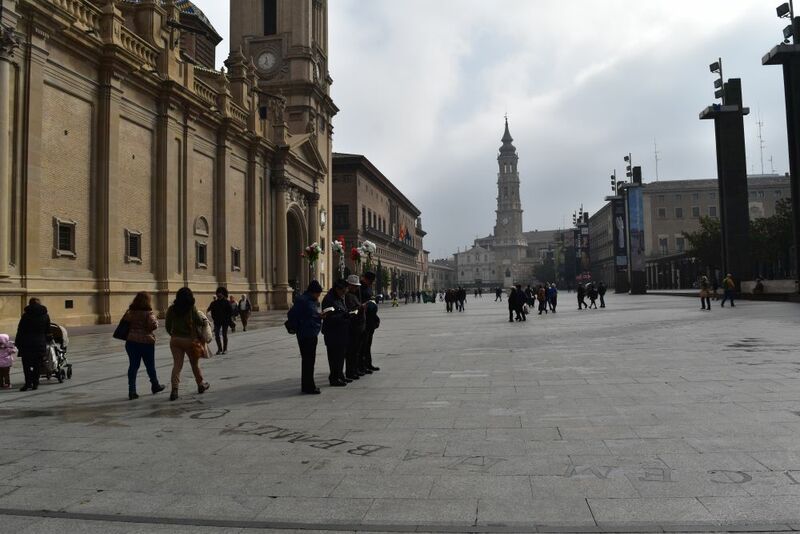 This is the view of the Cathedral of Pilar from the Plaza Pilar. Eleven vaults (or domes) decorate the roof of the cathedral. 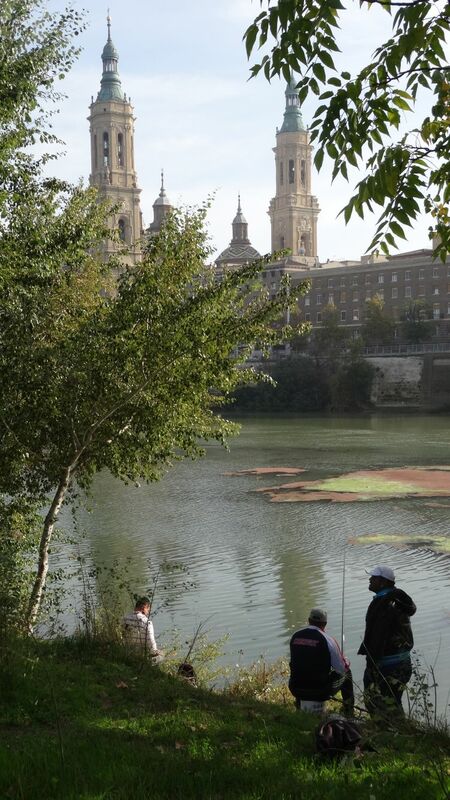 From the Ebro river we take more photos of the Cathedral of Pilar with the stone bridge. Fishing seems to be a rewarding activity here. 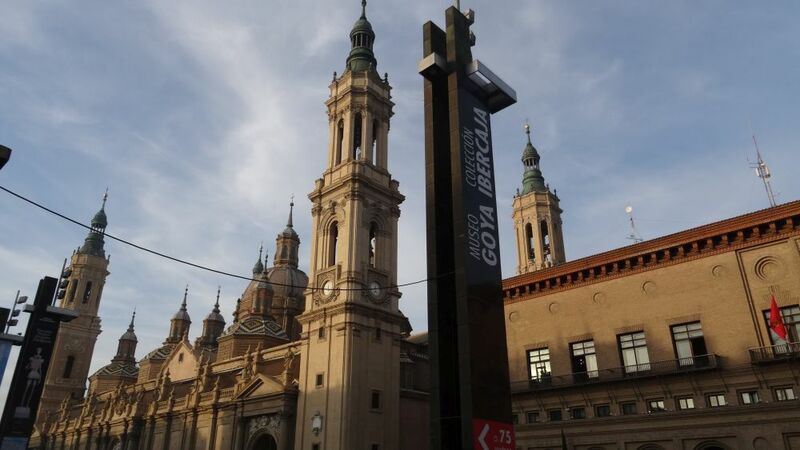 Also on the Plaza Pilar there is the Archbishop Cathedral of Seo. 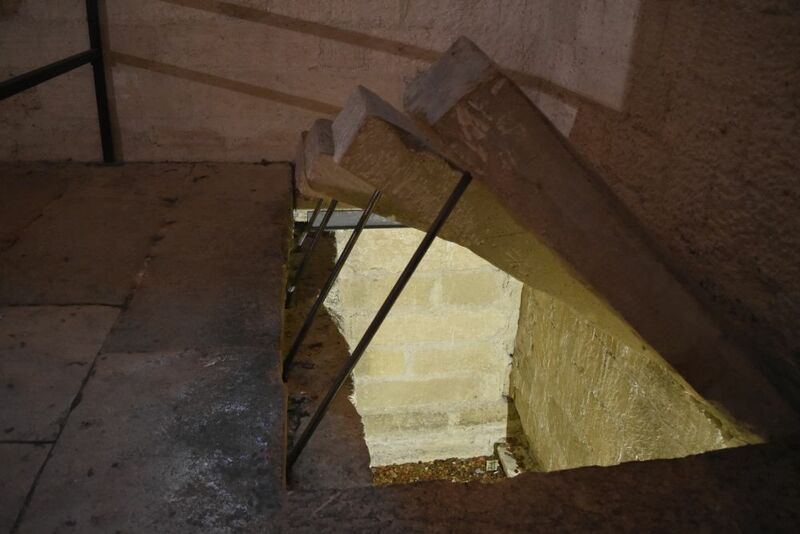 The construction started in the 12th century (some Roman elements are left in the apsis), and it was newly built in the 14th century (hence primarily Gothic in style). The tower is the late 17th century work of an Italian architect. The Cathedral of Seo has been UNESCO world heritage since 2001. 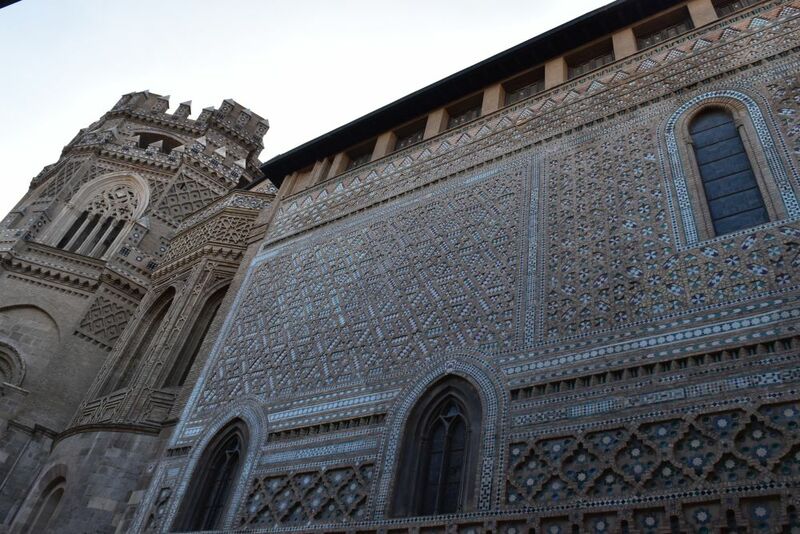 The northern wall is of fine Gothic-Mudejar style. 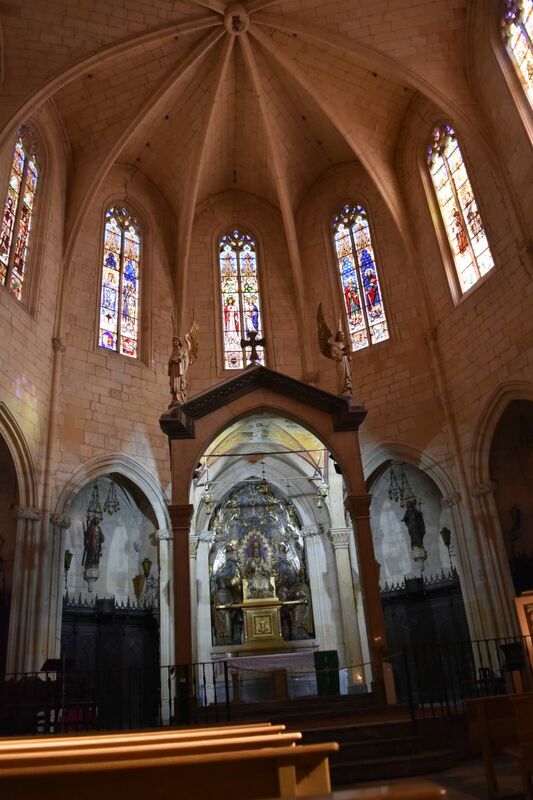 Inside we find innumerable chapels – some of them of Renaissance and some of Baroque style. Each chapel is explained in detail. 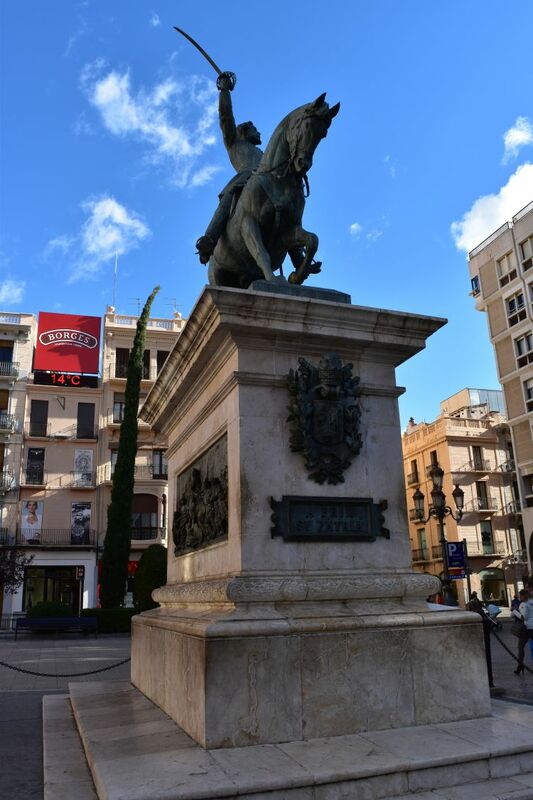 A nice detail: A statue of Joseph holding his baby – I saw that only in Tarragona before. 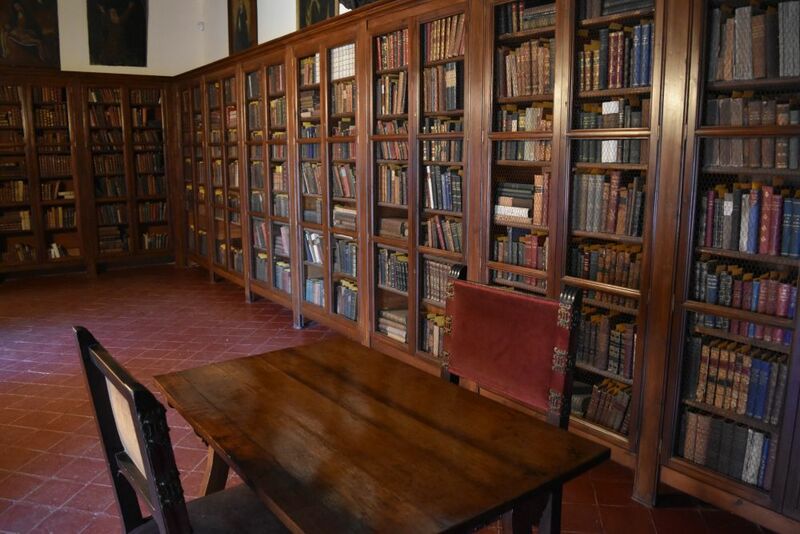 One chapel is devoted to the young Domingo that was said to have been murdered by Jews – which was taken as a reason for pogroms. Later it was concluded that the crime never took place which makes me feel bad. Why do we invent crimes and make someone guilty for them? The Lonja (bourse) was built in the 16th century to provide a public space for traders that so far have used the churches for trading. It is Renaissance in style. Ursula focuses on some details of the façade. 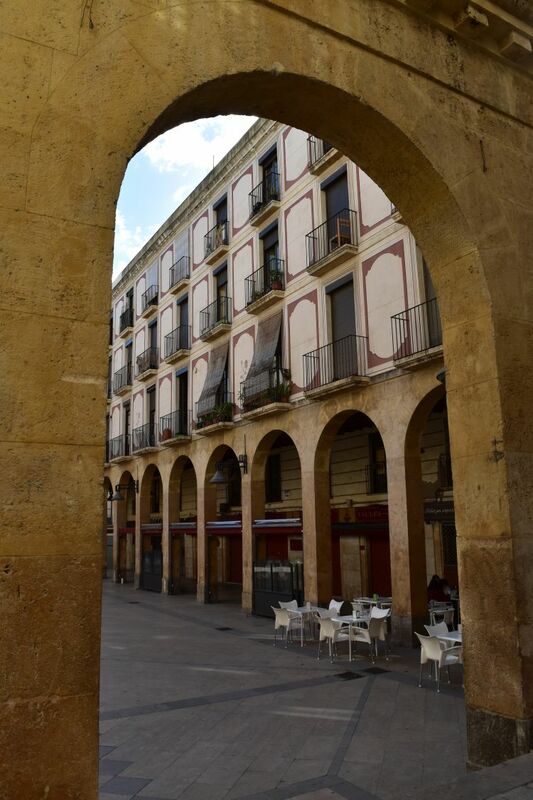 Outside of the old town wall we look for the Iglesia Parroquial de San Pablo from the 13/14th century. It contains Mudejar elements, in particular the octagonal tower. It has been UNESCO world heritage since 2001. Unfortunately we find the church closed. 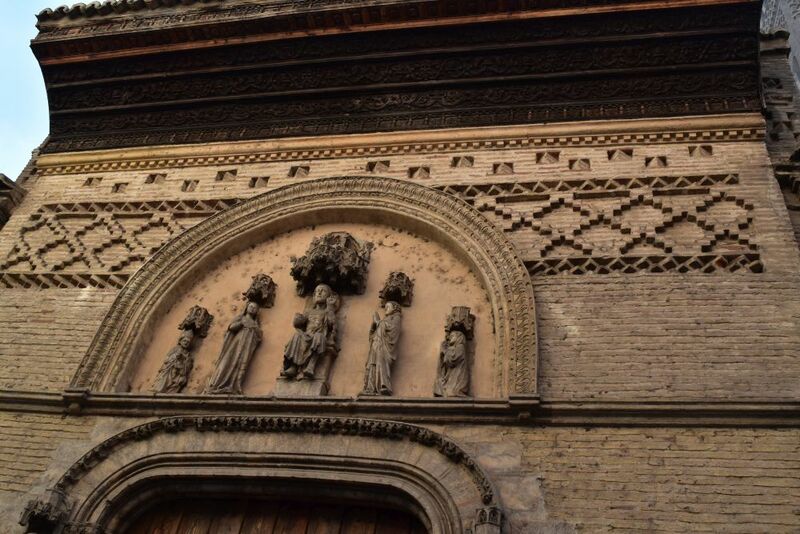 This is the Puerta Tramontana with Christ in the middle and Maria, Saint John and Saint Blasius. One of the saints cannot be identified. Ursula’s photographic eye spots the lamp with the ornaments. 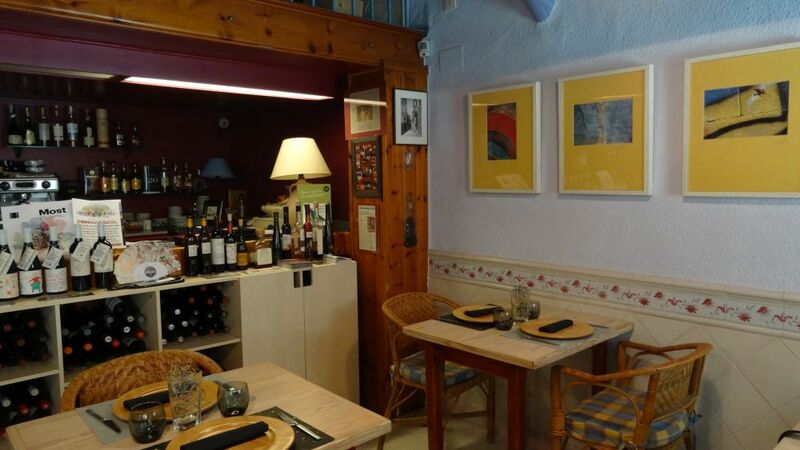 In the Calle San Pablo we have delicious tapas in a friendly small bar. We have chat with the people from the area and with a lady from Vladivostok in Russia – far, far away from here. The Central Market was built in 1903. Plants on the roof add to the decoration. The market is now closed – it is afternoon. Across the market a shop sells traditional regional clothing. 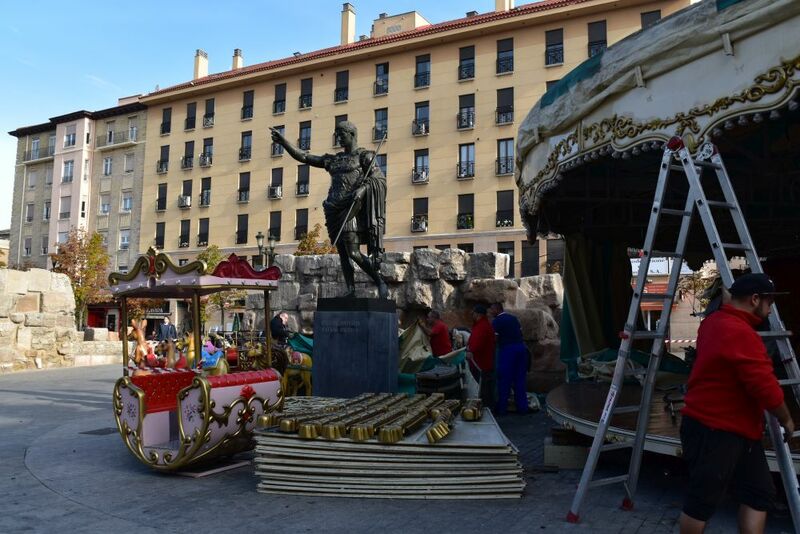 In front of the ruins of the Roman Wall Augustus watches a caroussel being demounted. Augustus gave his name to Zaragoza (Caesaraugusta). 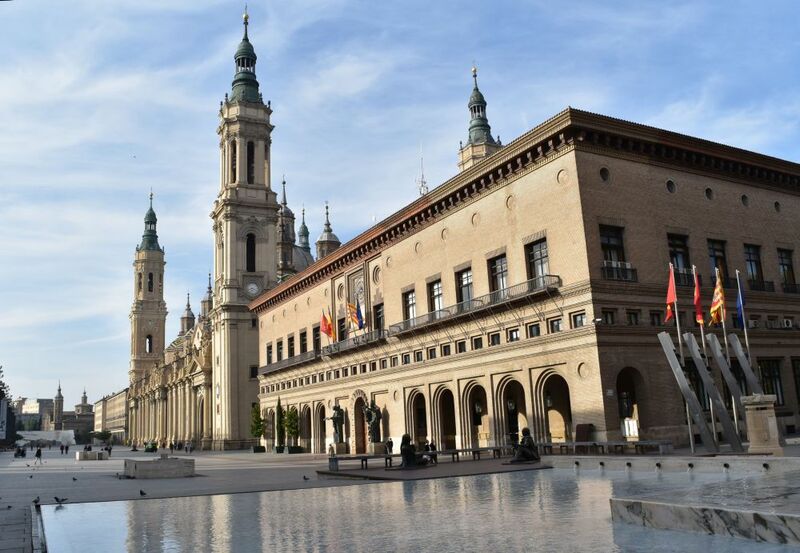 We finish visiting Zaragoza with the Museum of Francisco Goya (1746-1828). He is from Aragon. First he painted for churches, then portraits at the court (pretty realistic portraits) and in his last years he made engravings of the war with France that was a nightmare for him (Zaragoza was occupied by the French from 1809-13). Goya is considered to be a predecessor of the Surrealists. We take our car out of the garage (rather a spacious garage, if I remember right) and drive back home – another three hours. It was a long day. 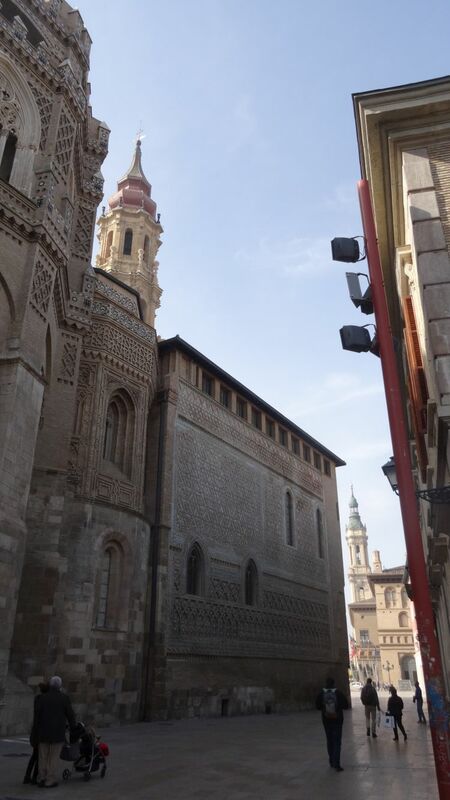 Zaragoza was worth visiting. On a windy day we explore the city of Reus. It is just half an hours’ drive from Hospitalet de l’Infant, where we spend a few days in the apartment of our friends end October until mid November 2016. Reus is the home town of Marshall Prim. He fought for the constitution of Spain and from 1868-70 he was Prime Minister of Spain (look at the cypress – it WAS windy). We park our car in the parking cellar located under the statue of Marshall Prim. It was another of those parking houses with small parking lots and narrow corridors. We found a comfortable slot on the fifth floor underground… if only I will be able to “climb” up from here again without getting stuck! 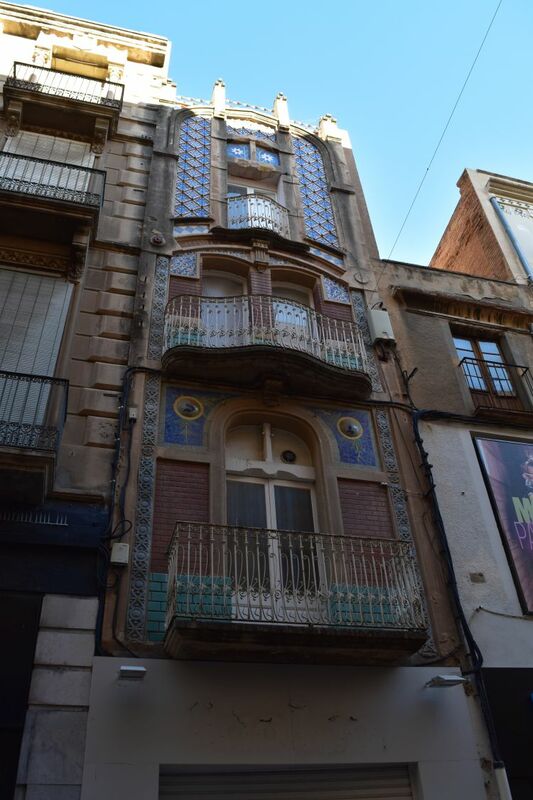 Gaudí was born in Reus. 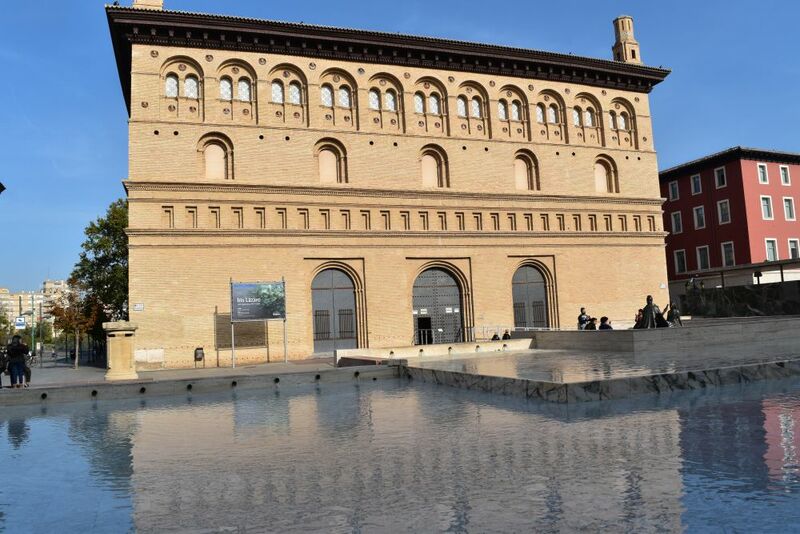 Though he never built anything in Reus, the city is proud of their son and has set up a museum about his life, his architecture and the way he worked. The museum is well curated. 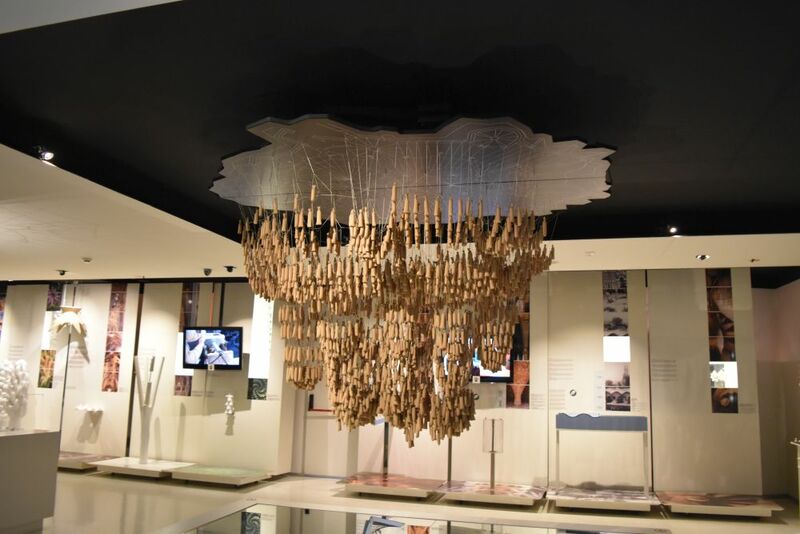 We learn, how Gaudí experimented to find the laws of nature that he then applied to create harmonic architectural structures. For instance he used straight lines, triangles or quadrats and twisted them to find the harmonic shapes. 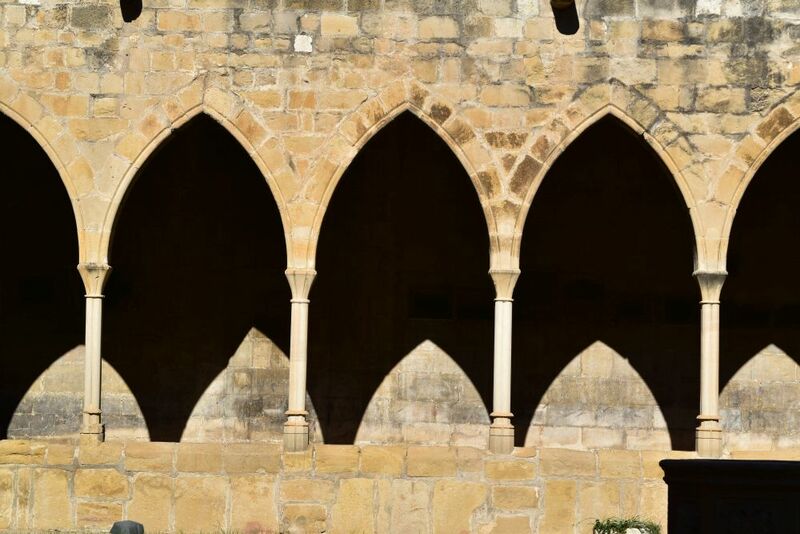 Based on the “law of chains” he built slim arches that could stand without counterweights (when the sides of the arches stand upright, counterweights have to prevent the arch from collapsing, like in Roman or Gothic architecture, but when they are inclined, the arches do not collapse). These hanging wooden sticks are one of experiments. He tested everything with models, before implementing it, even studying the exposure to light. 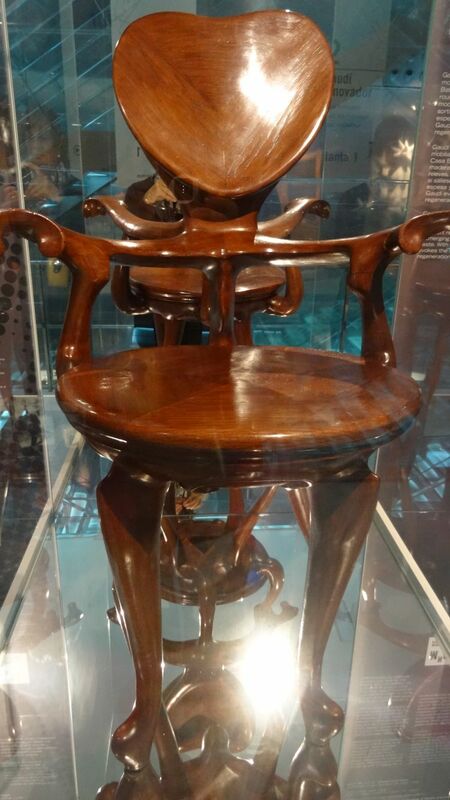 He had an overall approach to architecture also creating the furniture. 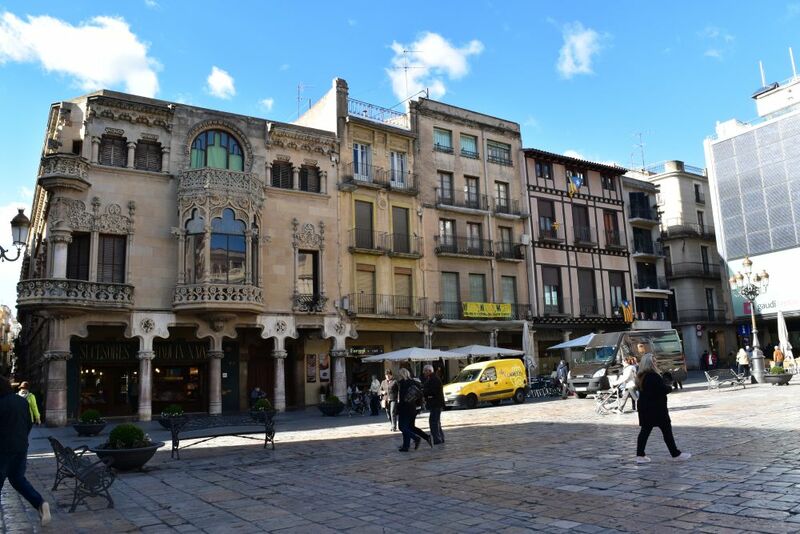 The Gaudí Center is located at the market square (Plaça Mercada), next to the townhall and the green modernist Casa Piñyol. 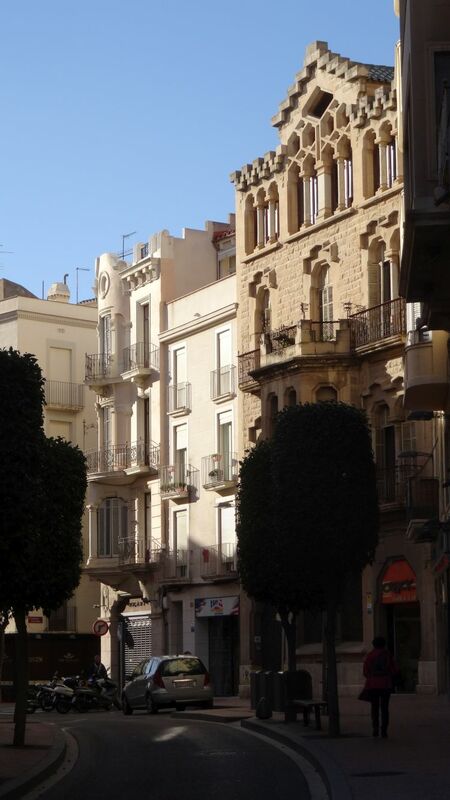 Across is the modernist Casa Navas with the shop for bath and wellness on the groundfloor. I buy a dressing gown (in Spanish: albornoz – the moors must have introduced this to Spain). We have lunch in the roof top restaurant of the Gaudí Centre. The view is great, but the waiters would have preferred us not to disturb them and the meal was expensive and poor (liver cream from the tube – in Swiss German: Leberpains – served on crackers with a few salad leaves, all for 15 Euros). 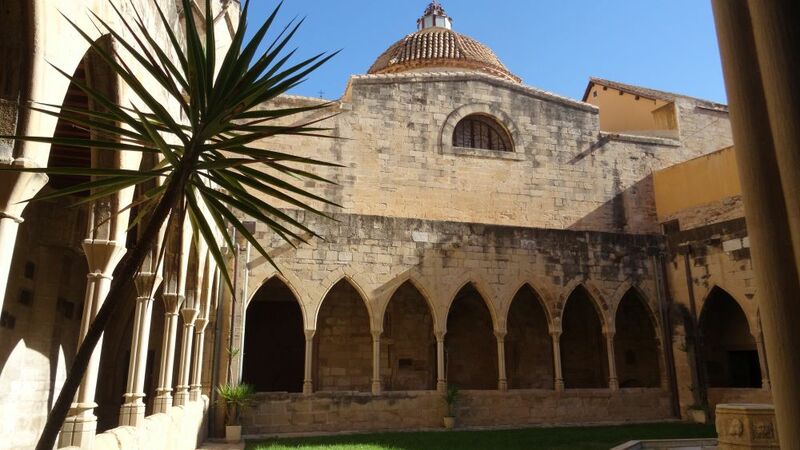 South of the market square we visit the late gothic cathedral San Pere from the early 16th century. 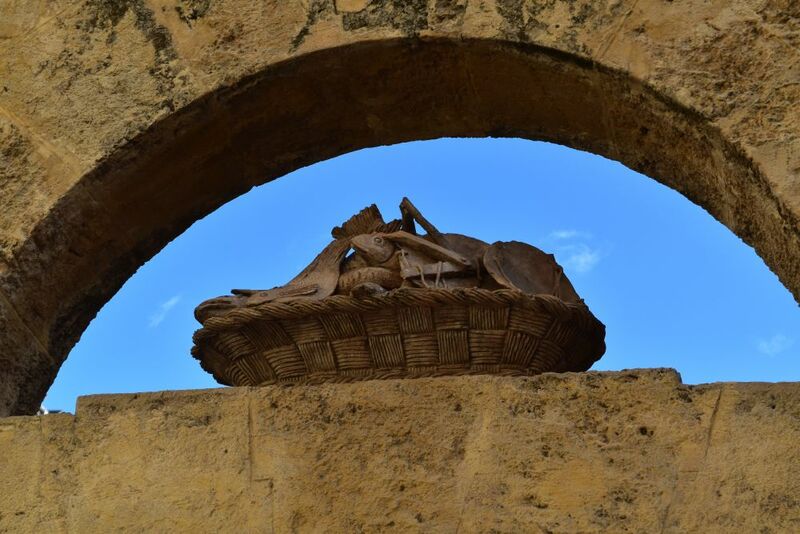 Behind the church we enter the fish market (Peixateria Velles) with the sculpture of a basket containing fish products next to the entrance. Through the gate we see the galleries and inviting restaurants and bars. 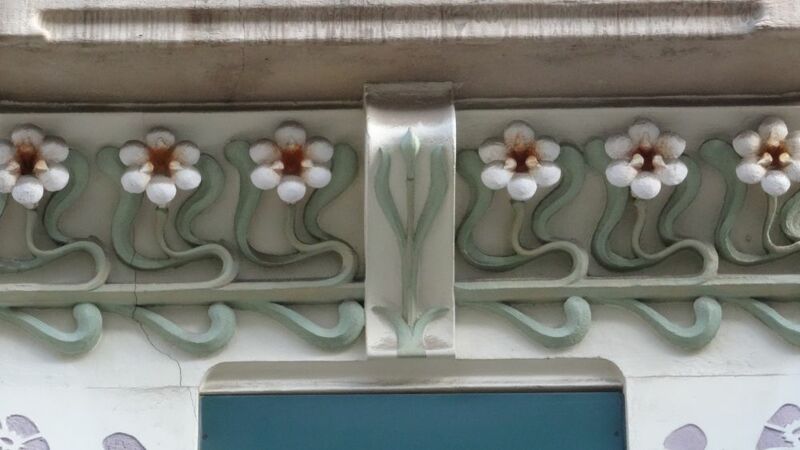 … with a detail of the flower ornaments. 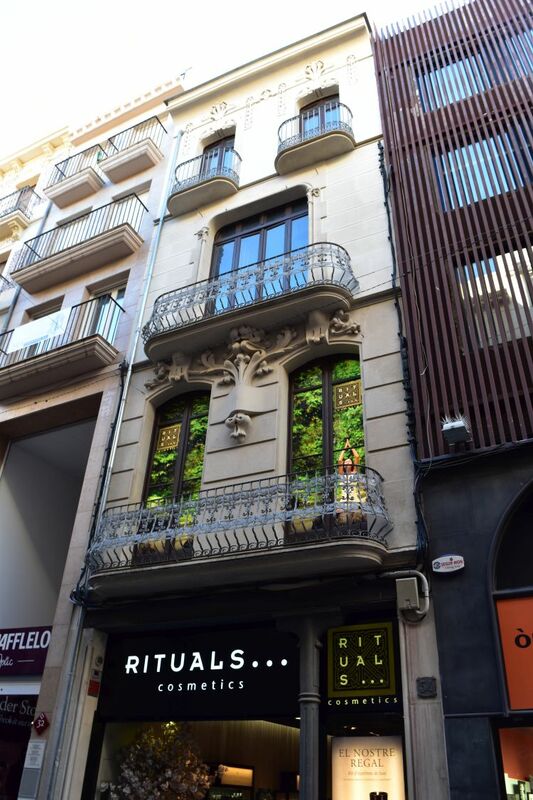 The Casa Serra and the Casa Marco mark the entrance to the small street, where Gaudí was born. 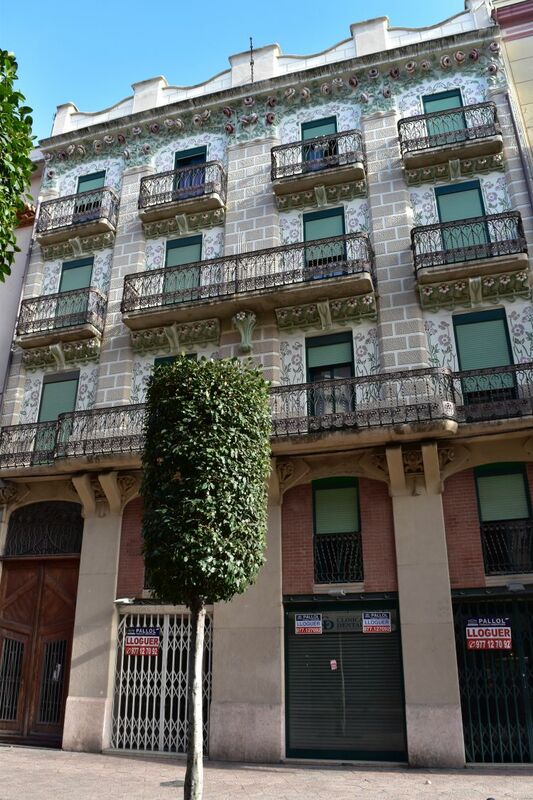 Not far from here is the Casa Carpa with the painted balcony doors. 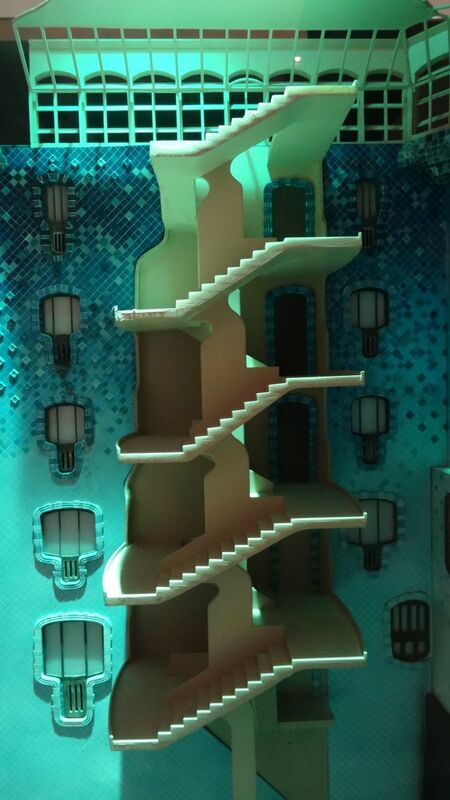 With Ursula’s directions I succeed to manoeuver my car out of the narrow garage under Marshall Prim (five floors up through rectangular small corridors!). 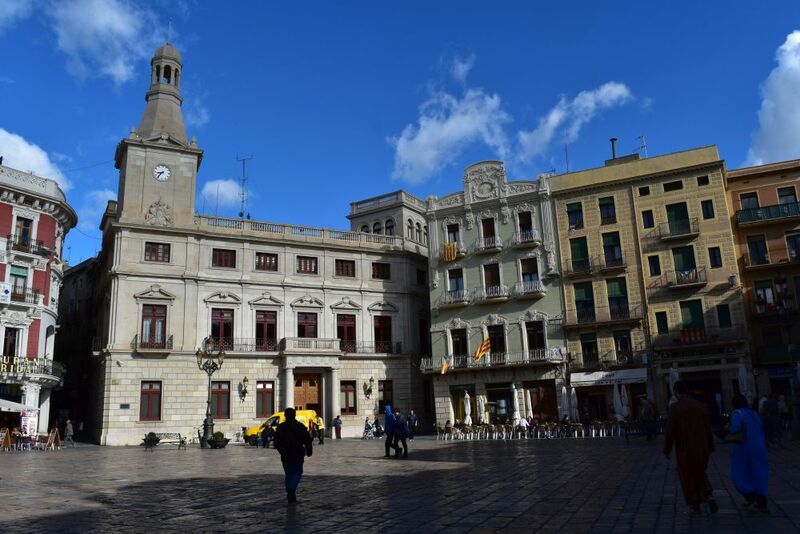 Reus is a small town worth a visit! Back at Hospitalet I enjoy the inside pool with the swimming lanes – it is very busy here with swimming courses and water gymnastics going on around me. 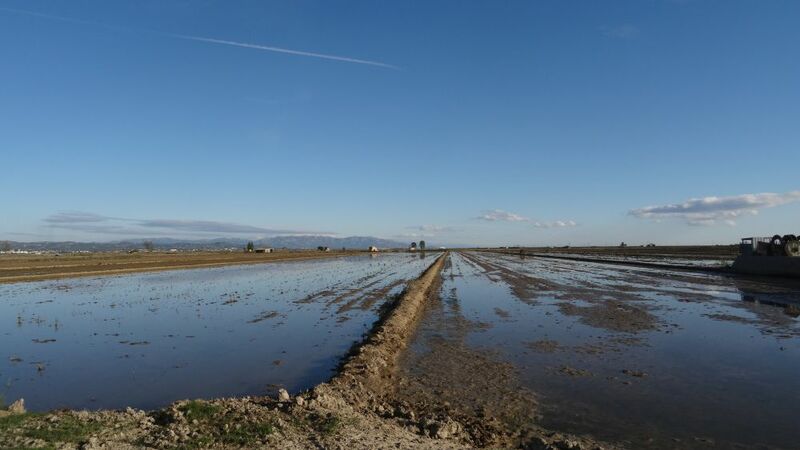 On a sunny Friday in November 2017, we get up early to take photos in the beautiful landscape of the Ebro delta and then continue to Tortosa on the Ebro. This is another excursion that we go for, while enjoying the small apartment of our friends in Hospitalet de l’Infant at the end of October until mid November 2016. 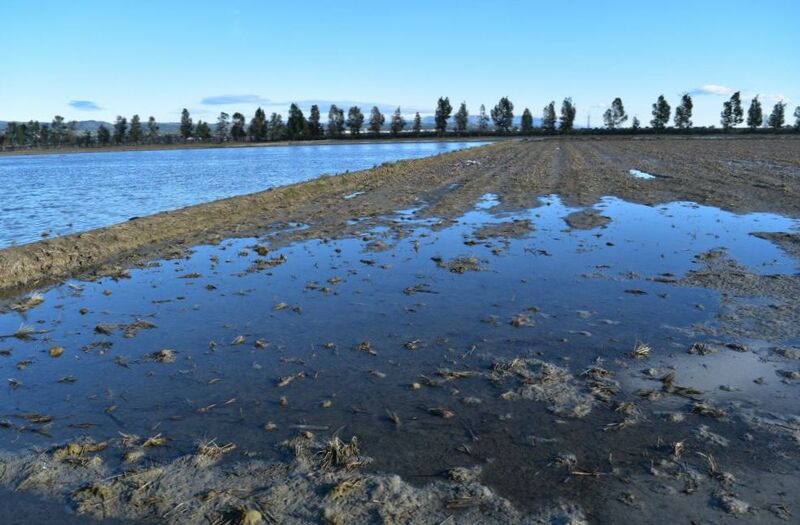 In November the rice fields have been harvested awaiting the next cultivation cycle. We enjoy taking photos in the atmosphere of this morning. 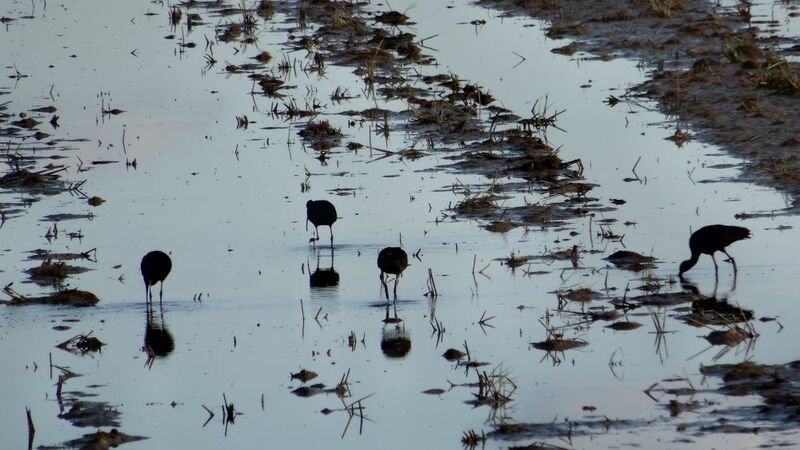 … and the black egrets reflecting in them. Then the birds decide, we are too close and fly away. 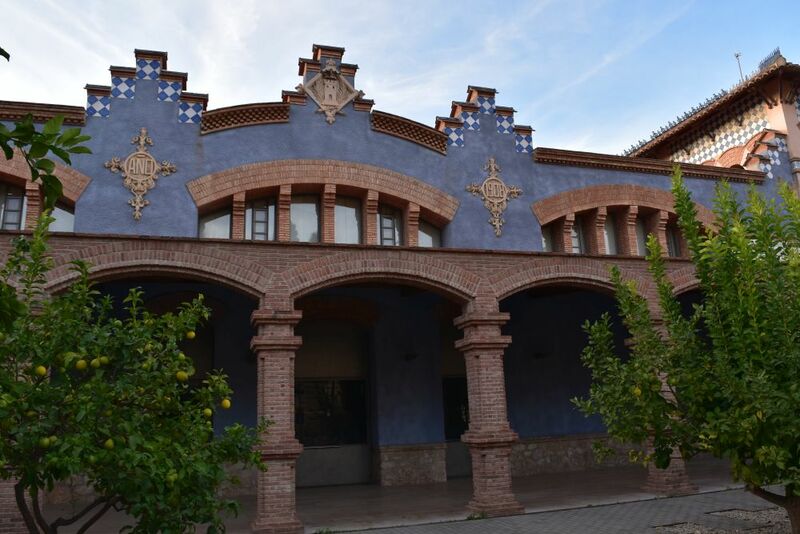 In Deltebre we visit the Ecomuseum. 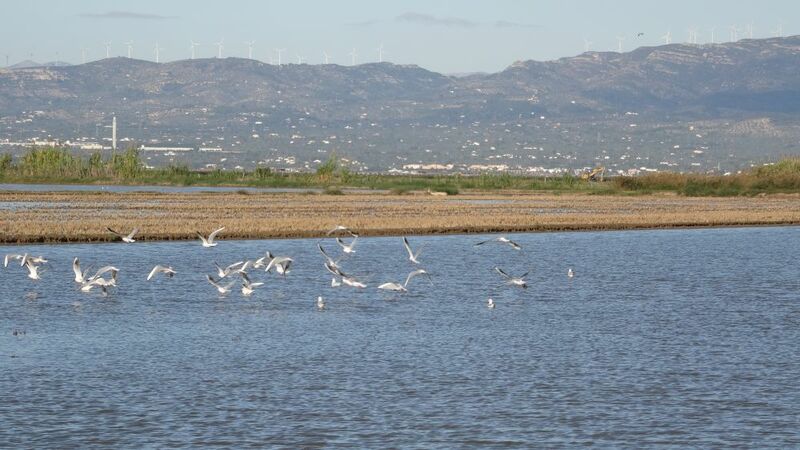 This place is a miniature Ebro Delta showing its plants and wild life as well as the economy: Fishing, the cultivation of rice and – more inland – the cultivation of vegetables and fruit. 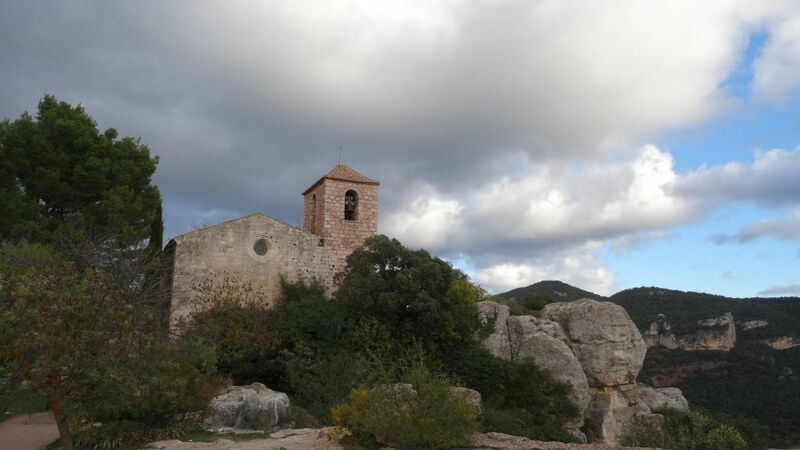 In summer we had visited Tortosa, and it was pouring with rain. The town seemed grey and not very welcoming and the cathedral was closed. 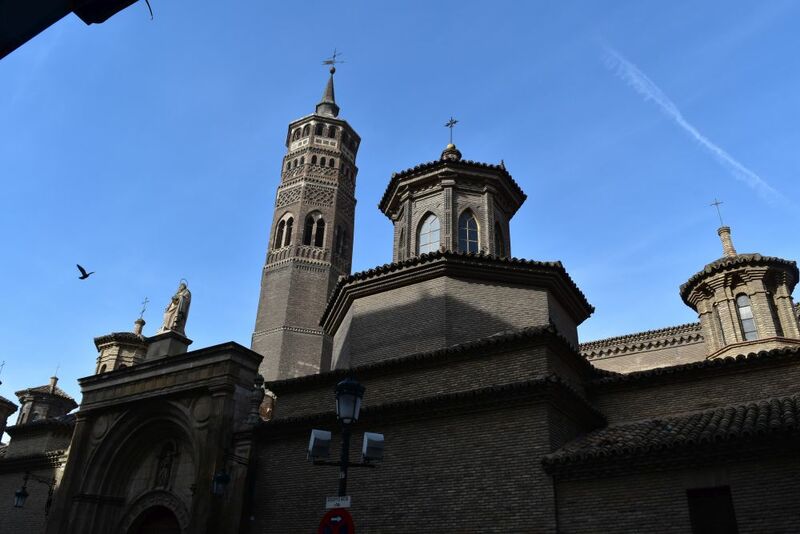 Now we return, leave our car in one of these narrow Catalonian parking houses in the city center and set out to explore the Basilica-Catedral de Santa Maria with the bishop’s palace and the convent. The gothic construction started in 1347 (Thomas Schröder: “Katalonien”, Michael Müller Verlag 2015). From outside, the cathedral seems “uncompleted”: The roof is flat. 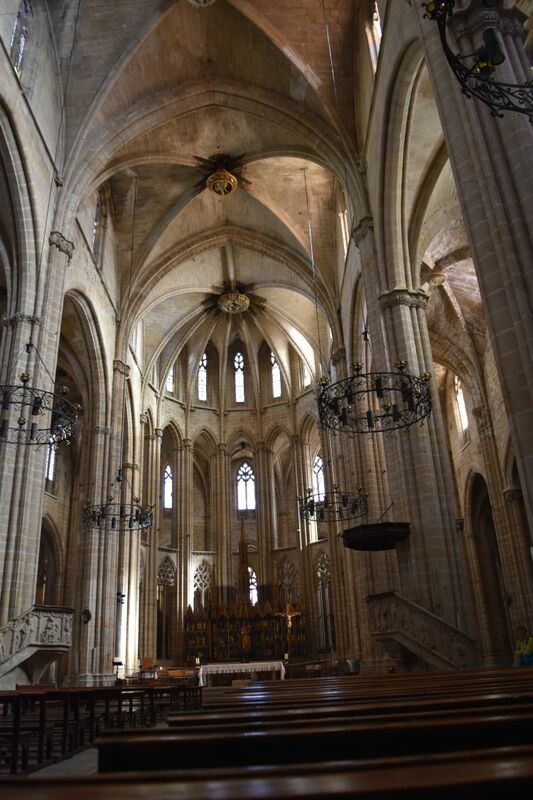 The nave is spacious with high vaults – just right for the archbishop in the 15th century. 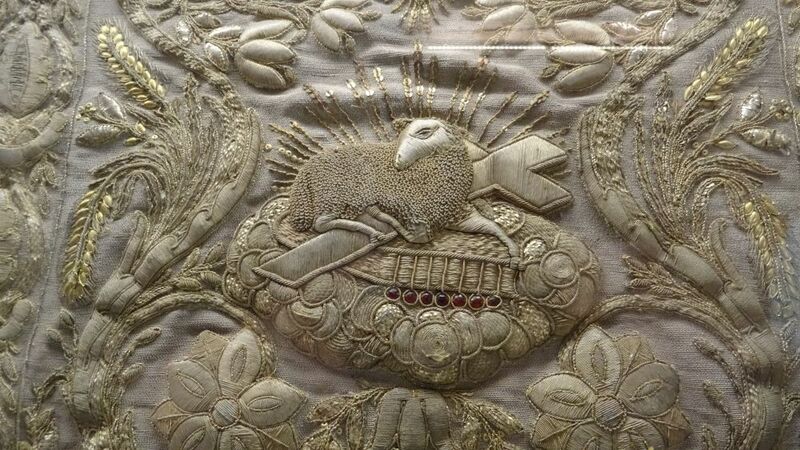 … or this funerary object. … and use this photo of the arches for my 2016 Christmas card. After a break in a small bar that serves excellent tapas, we stroll through the former Jewish quarter. 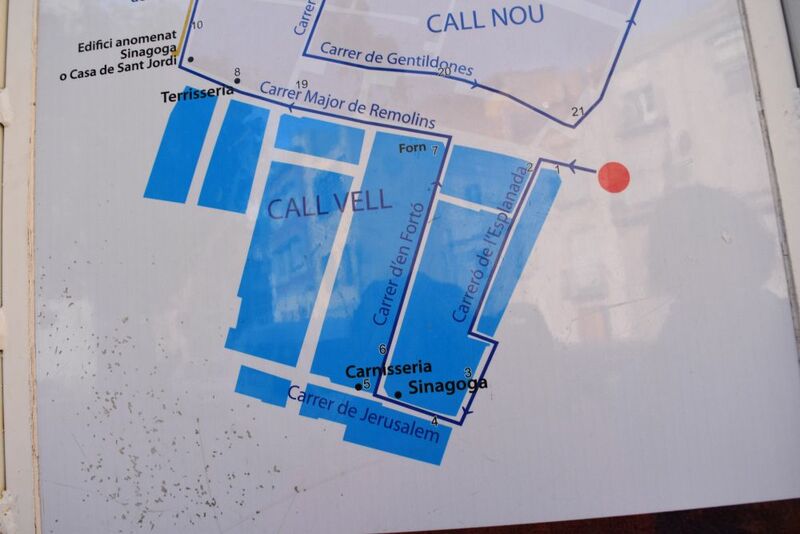 All that is left are the street names (such Carrer and Travesa de Jerusalem) and some plates explaining where the synagogue and the kosher butcher were located. Now we find a halal butcher instead. The slaughterhouse has been built by Pau Monguió. 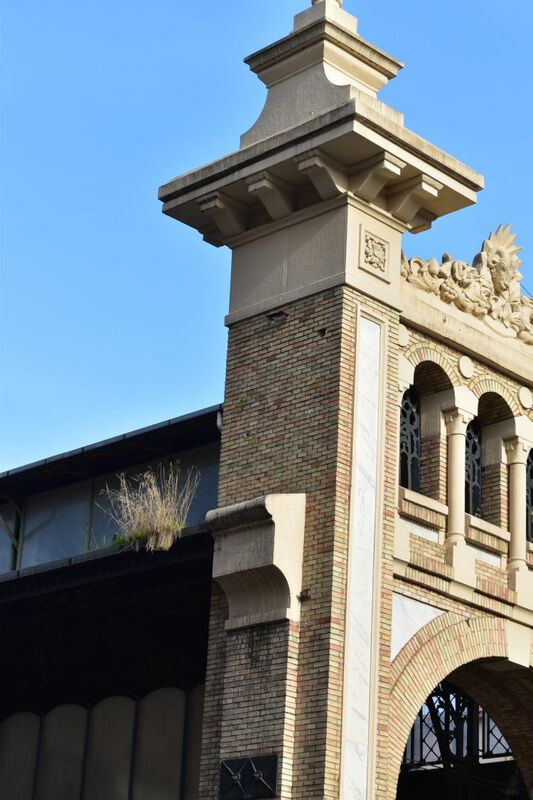 This art-nouveau building now hosts an exhibition of the history of Catalonia. 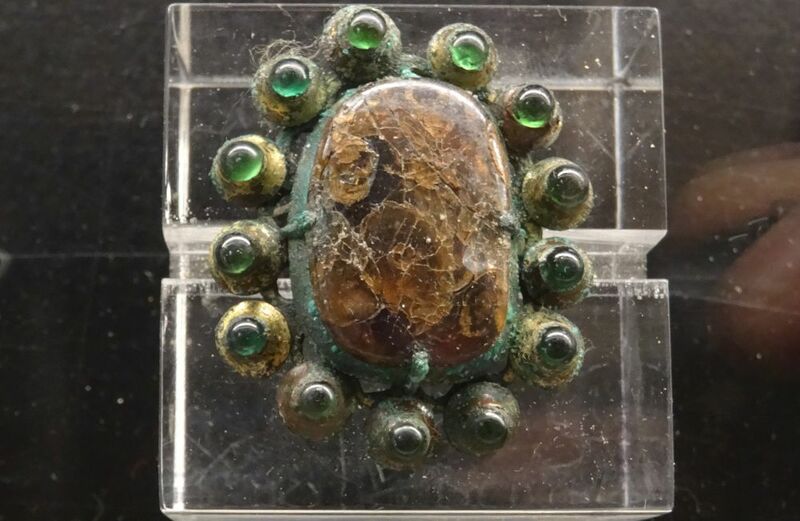 The display starts with the stone age, continues with the Iberians trading with the Phoenicians (“Iberians” comes from “Ebro”) , the Romans (Tortosa was then called “Dertosa”), the Visigots and the Moors. In 1148 Tortosa was sieged during the Second Crusade and reconquered by an allied army. 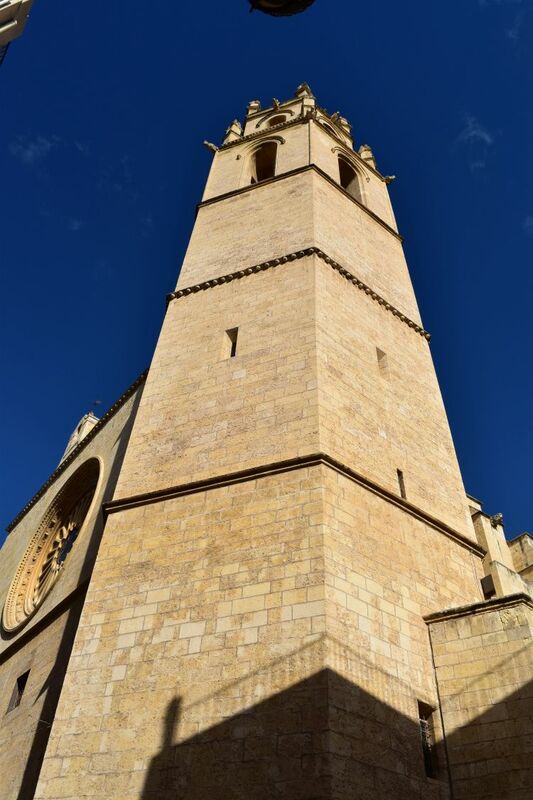 In the 15th century, Tortosa became an important regional center and the seat of the archbishop. It lost its importance in the 19th century and particulary suffered from bombings in the civil war of 1936-1939. 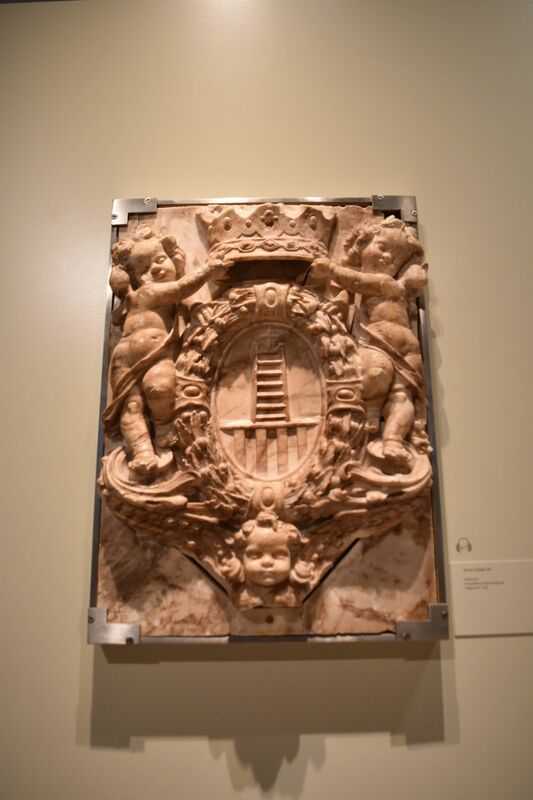 I particularly like the coat of arms of the monastery Scala Dei near Montsant made from alabaster – it represents the Escala Dei or the ladder of God. 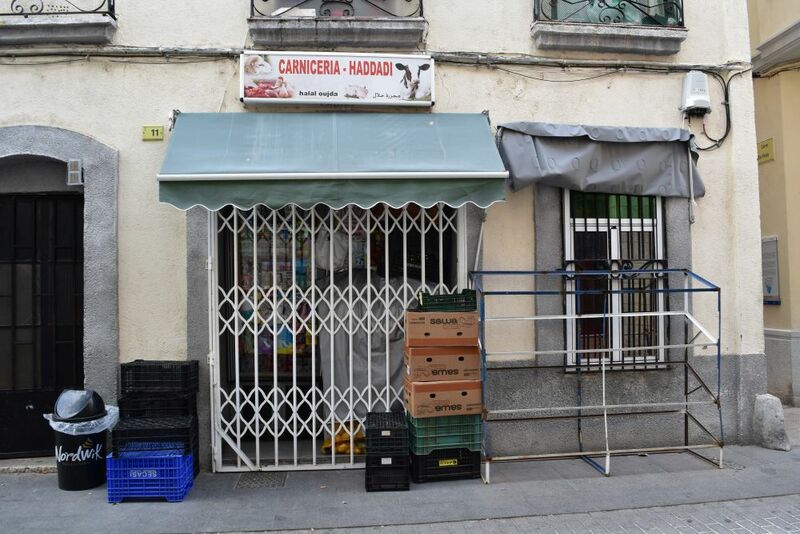 After a short visit in the Tortosa market, we maneuver our car out of the narrow, narrow parking house and drive back to our small apartment in Hospitalet de l’Infant. 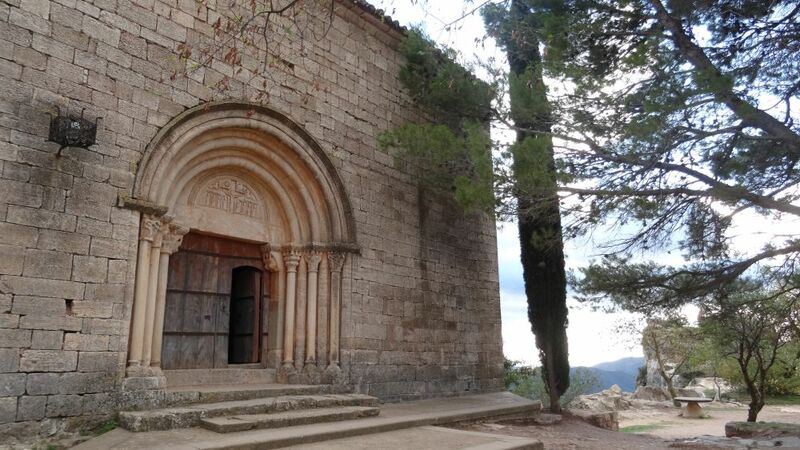 On a very windy, chilly and cristal celar day we explore the monastery Escornalbou, the small town of Falset and gorgeous Siurana perched on a steep rock. All these places we find near Hospitalet de l’Infant, where – in the apartment of our friends – we spend a few days end October until mid November 2016 . 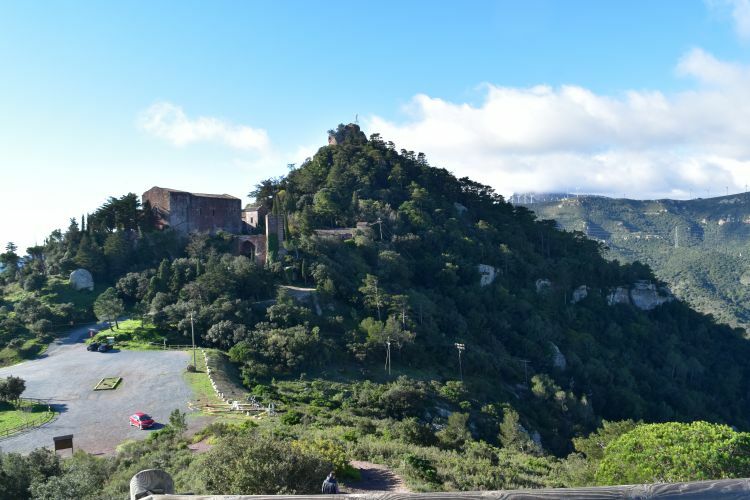 A sinuous road takes us up to the Castillo-Monasterio de Sant Miguel d’Escornalbou on about 800m above sea level. The monastery is perched on a pass with the chapel Santa Barbara above it. We look at the monastery from the viewpoint across. … and of the sea. 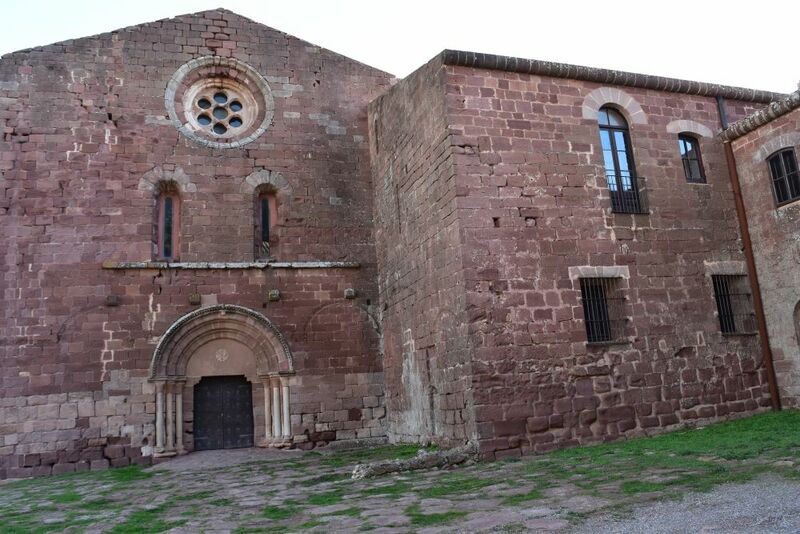 The monastery was built in the 12th/13th century. First Augustinian monks lived here and later it was inhabited by Franciscan monks. In 1835 the monastery was confiscated. This is the façade of the Romanesque church. Inside we find Maria and her son. 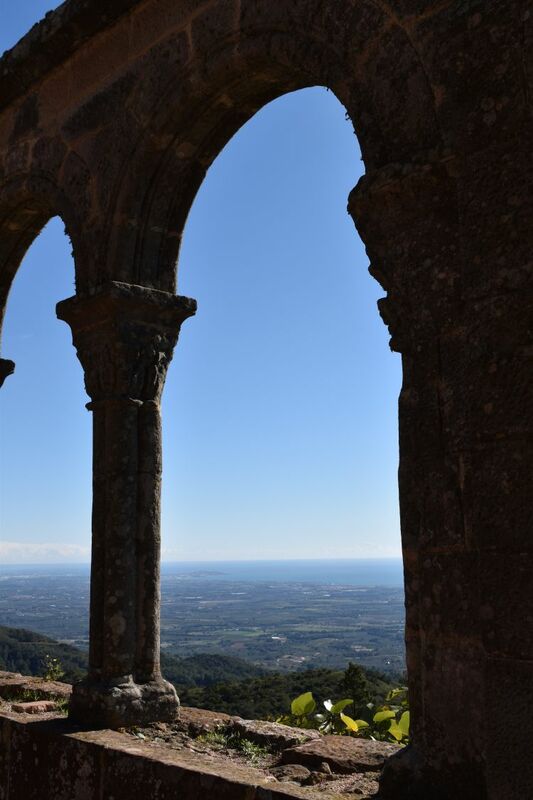 From the cloister there is an impressive view of the Mediterranean Sea. It must have been a pleasure to pray and meditate here. … and by the view from the window. Perhaps it was a bit lonely to live up here. We continue our way on the sinuous path through the mountains to stop in Falset. 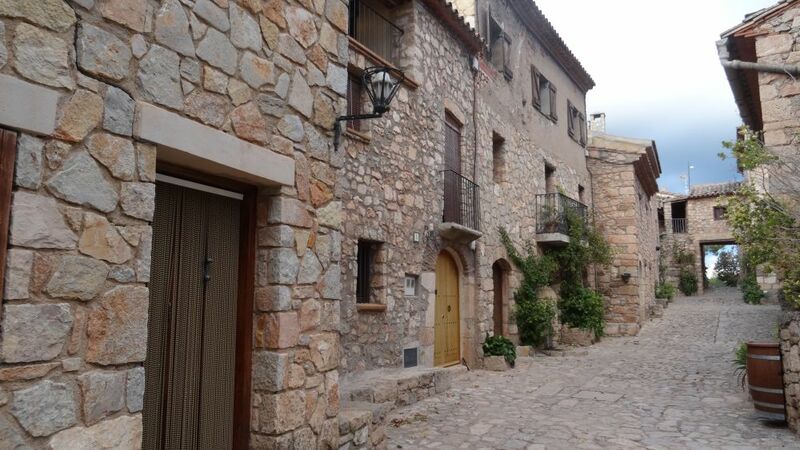 This is the central town of the Montsant and Priorat area. The name “Falset” comes from sickle – and their are two sickles in their coat of arms (see Wikipedia and Miquel Hudin: “Vinologue Montsant”, Leavenworth Press 2014, p. 64). 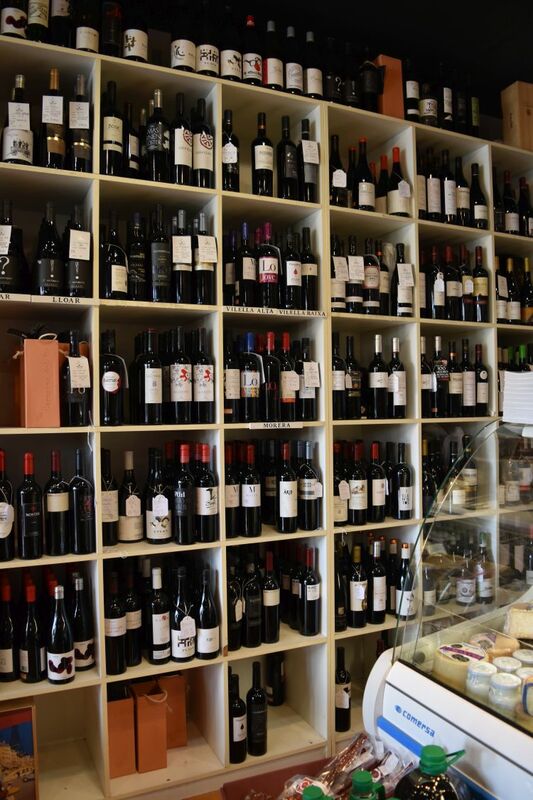 … and some wine – in particular I look for “Scala Dei” (Granatxa), and with the advice of the shopkeeper, Marc, I acquire a selection of cuvées with local and international grapes. 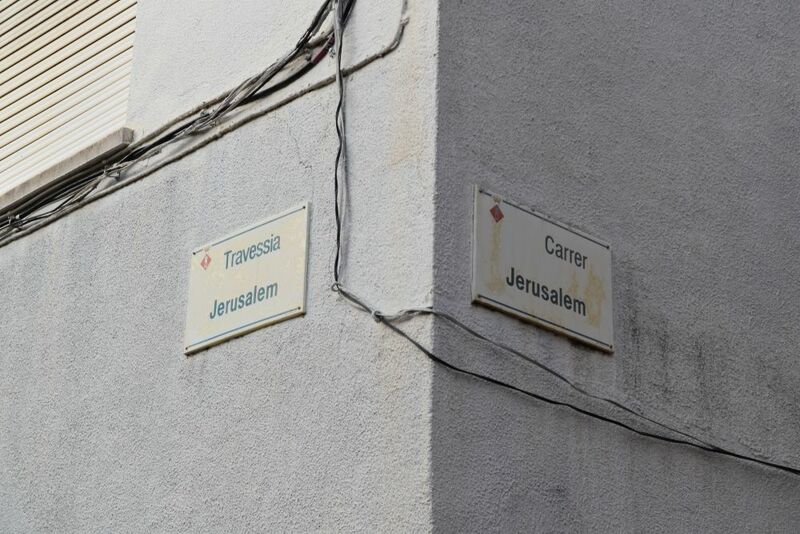 Marc, reserves a table for us in the El Cairet in the old city center – for 13:30, which is early here. The restaurant opens so early – just for us. It is a small and cosy place. 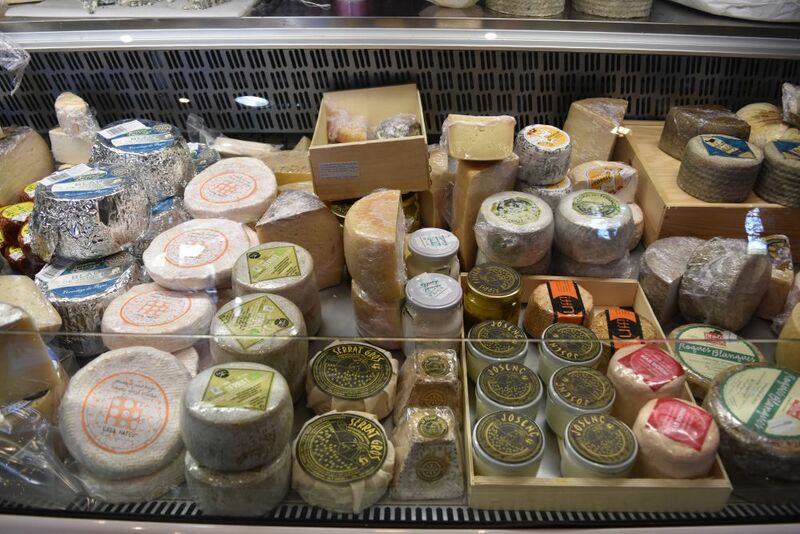 The restaurant owner is proud of the meals that she prepares with great care using regional products. Hence we order the local menus suggested by her. We particularly loved the hazelnut soup, the autumn salad with dried fruit, the bacalao (codfish) a la plancha and the fig dessert on puff pastry. This restaurant is a place to remember and return! 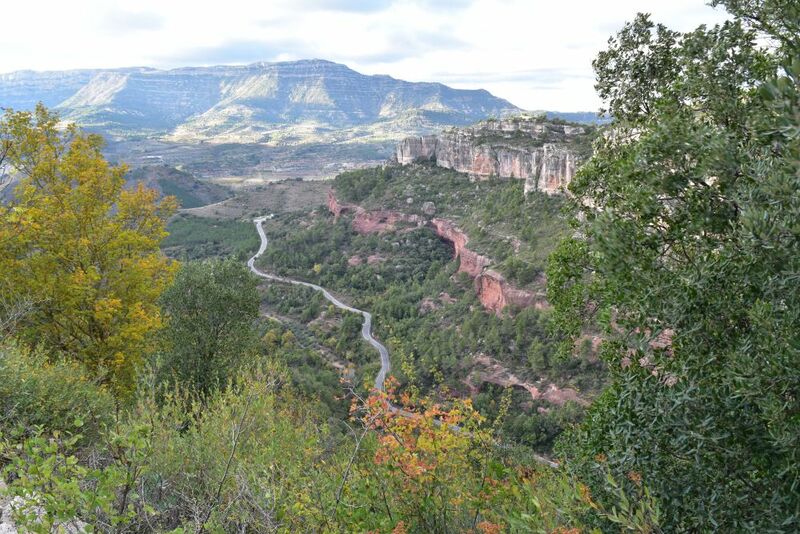 We leave Falset and using sinuous roads we drive to the small town Siurana perched on a rock above the river Siurana. Campers are bordering the road and climbers are hanging in the cliffs or crags. This is an eldorado for climbers. The recent edition of “Insipiration”, the newspaper of one of “my” Swiss outdoor shops, talks about “Sehnsucht Siurana” or “Longing for Siurana”. Also the Internet is full of information about the climbing routes (e.g. planet mountain). 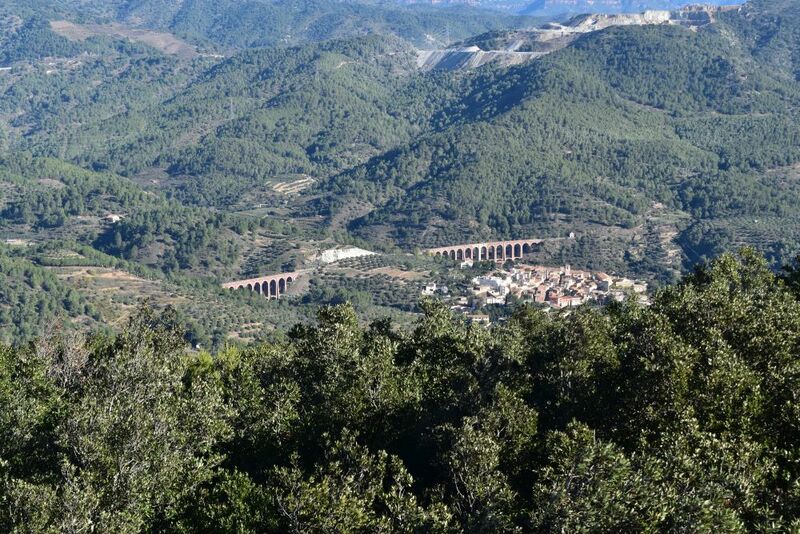 One route is called after the princess Abdelaza that jumped down with her horse, because she did not want to be captured by the Christians, when they conquered Siurana in 1150. On three sides the village is surrounded by cliffs. Using the small gate we enter and stroll through the narrow streets. The Romanesque church Santa Maria is located above the cliffs. The portal has a modestly decorated tympanum with Christ, the sun, the moon, two lions and eight persons, presumably apostles. Across we see the table mountain Montsant under clouds. 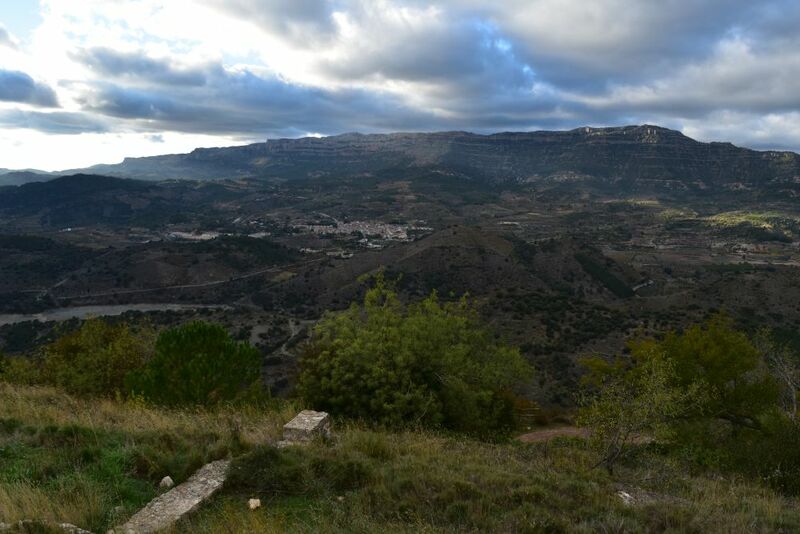 It is chilly and very windy in Siurana. Before leaving we have a cafecito in the friendly bakery at Cornudellas. We are by far the oldest guests. We are surrounded by young climbers that are taking a warm drink before spending the night in their campers. We are happy to return to our warm apartment in Hospitalet, and I look forward to having a swim in the heated public inside pool.